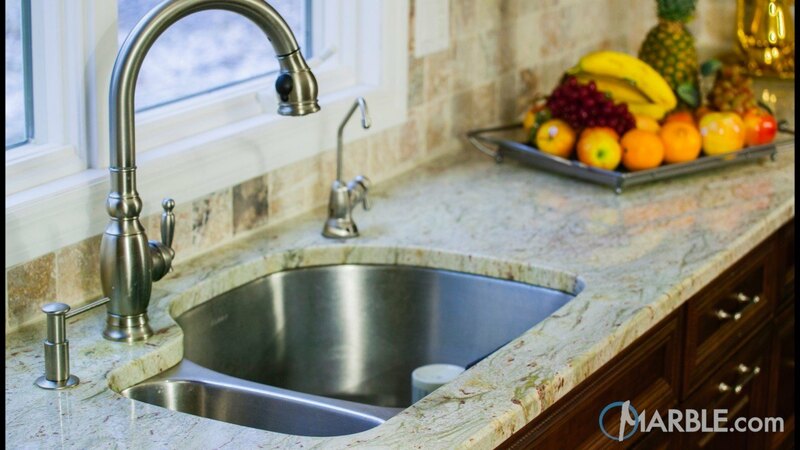 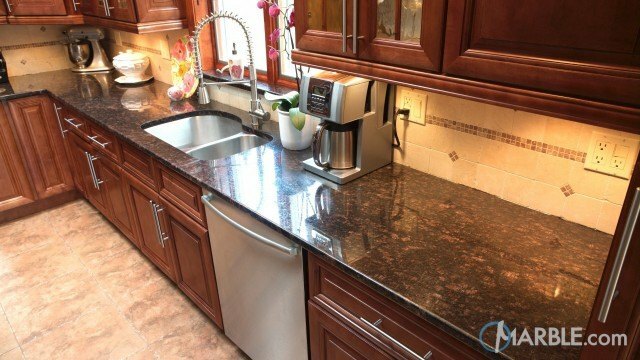 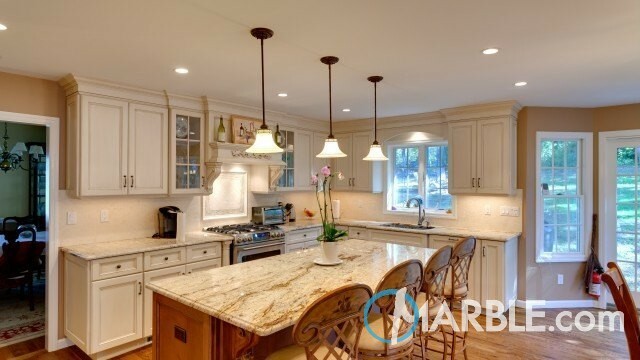 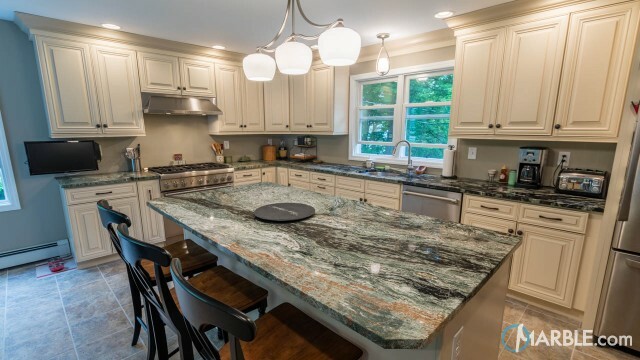 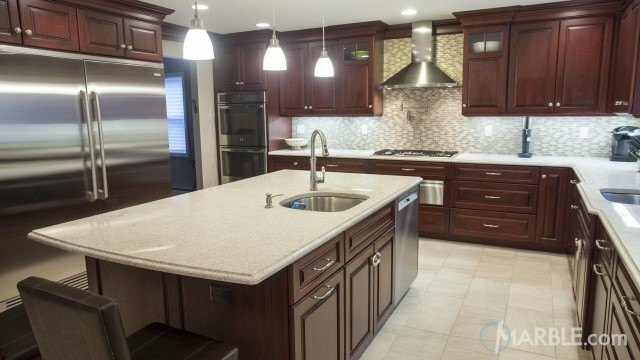 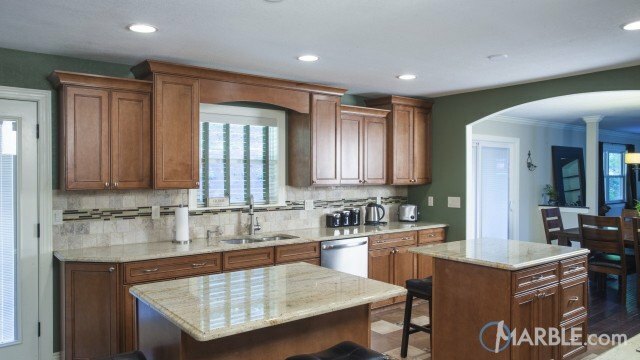 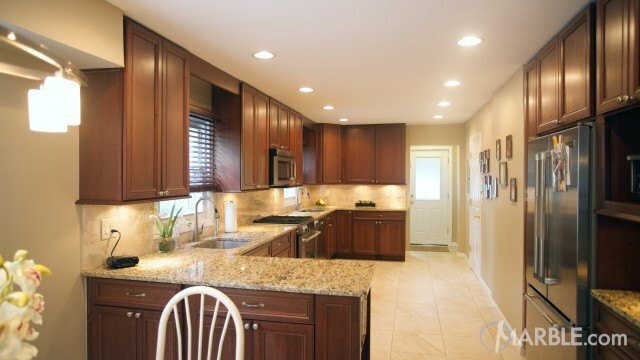 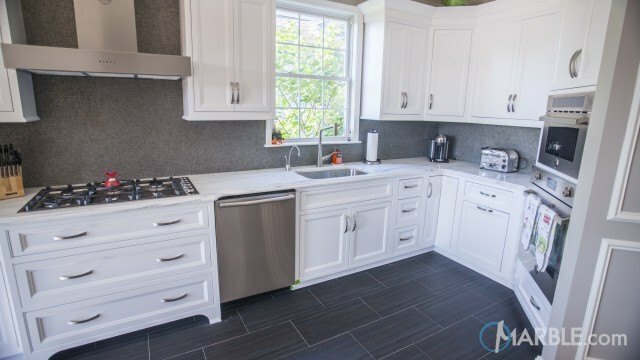 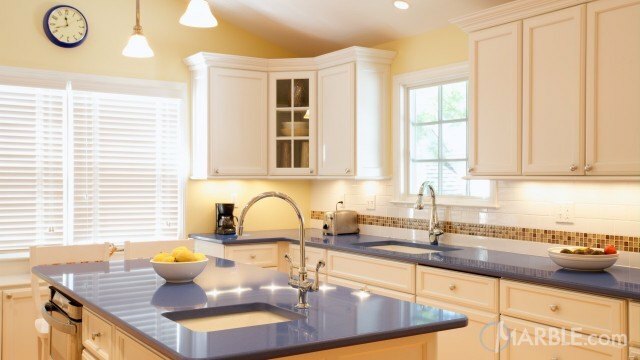 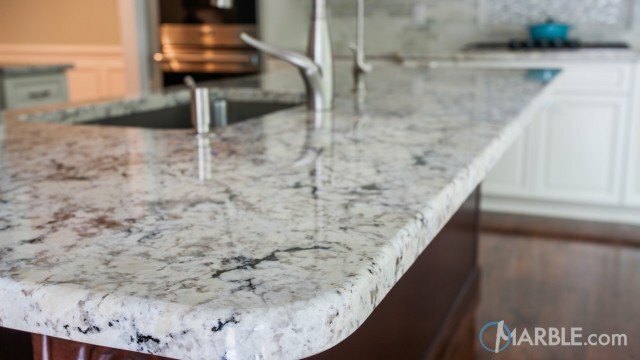 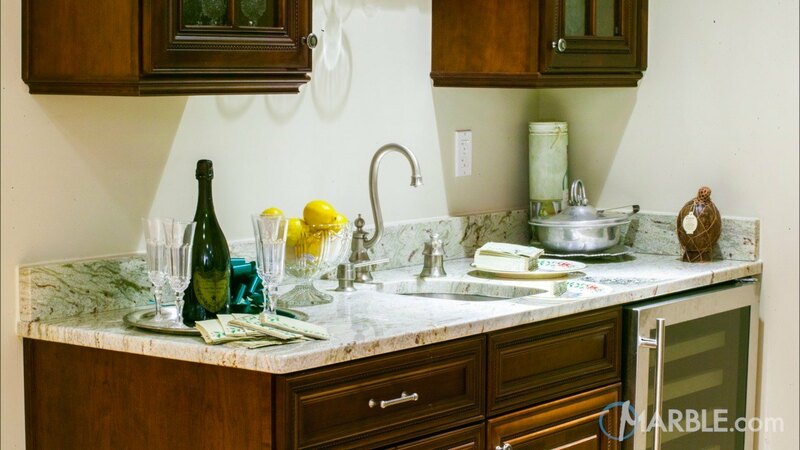 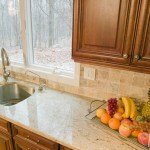 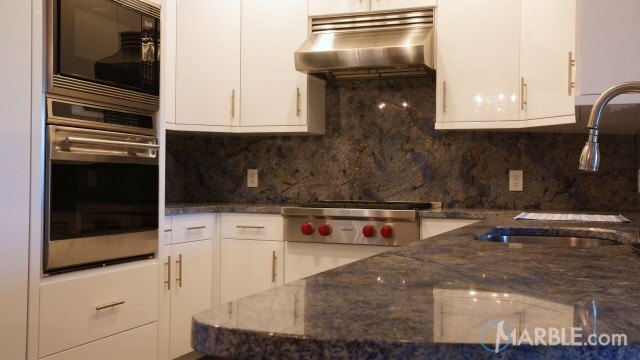 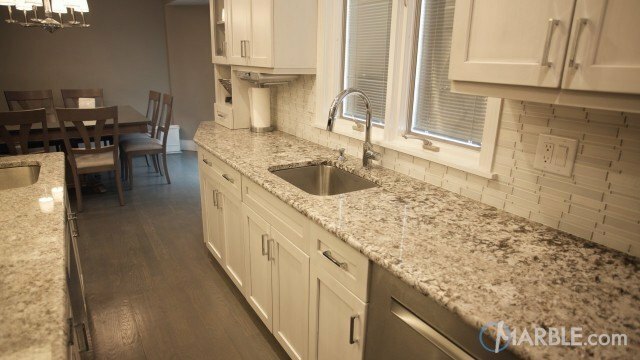 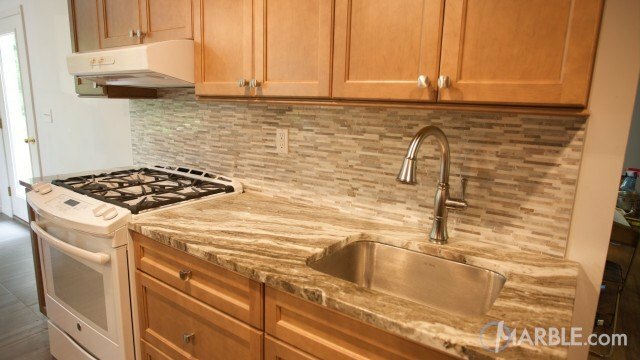 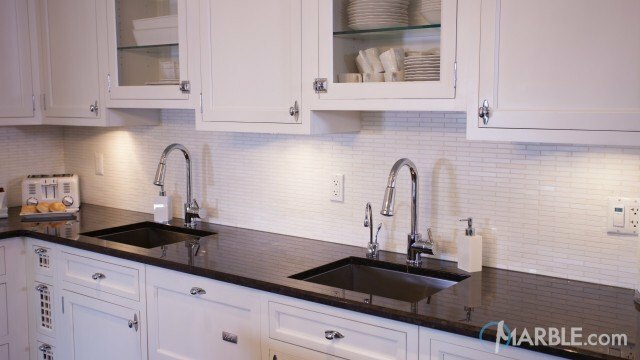 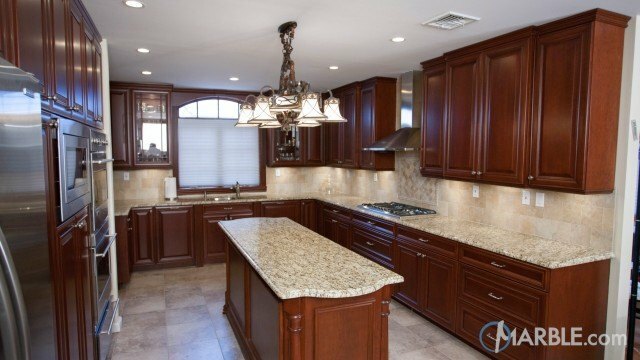 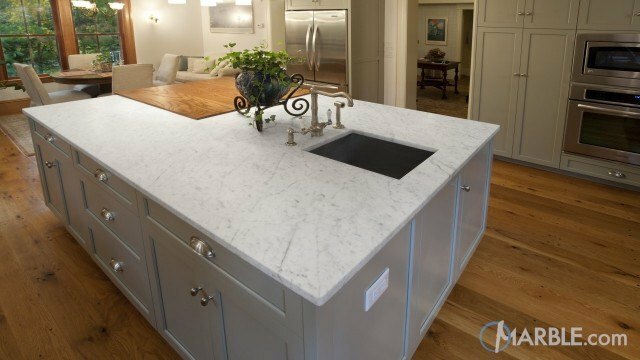 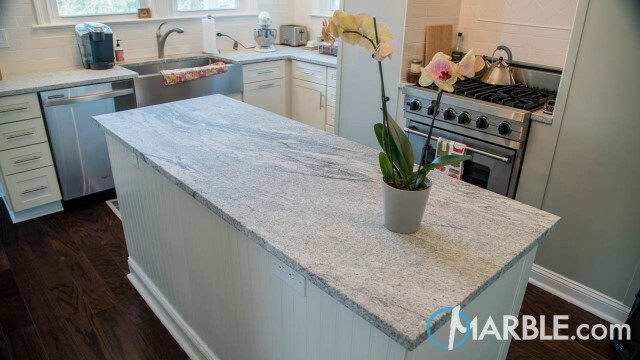 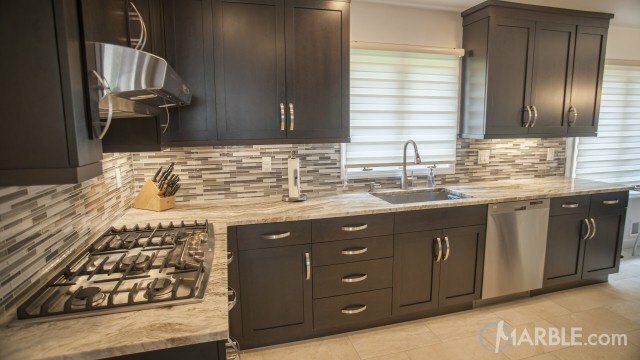 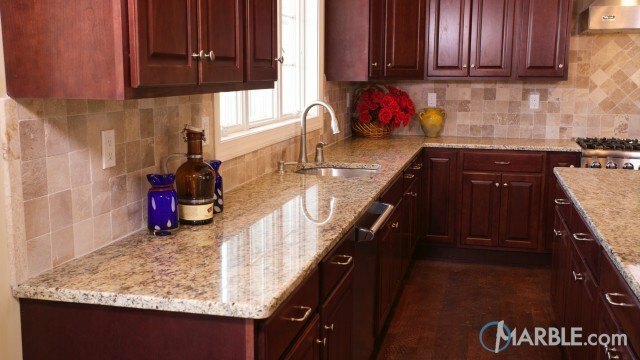 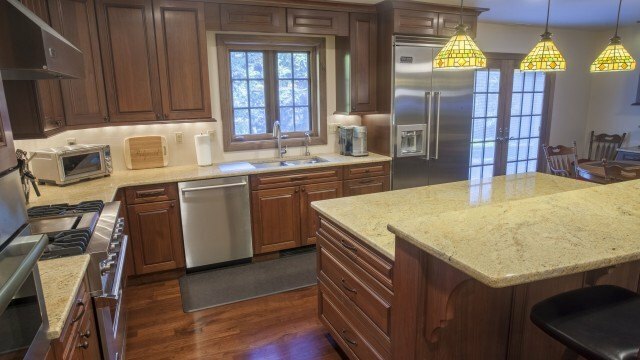 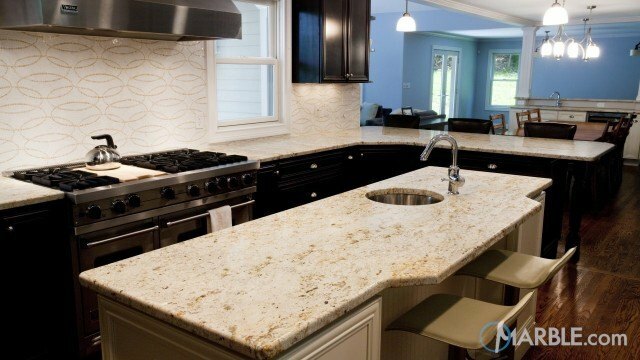 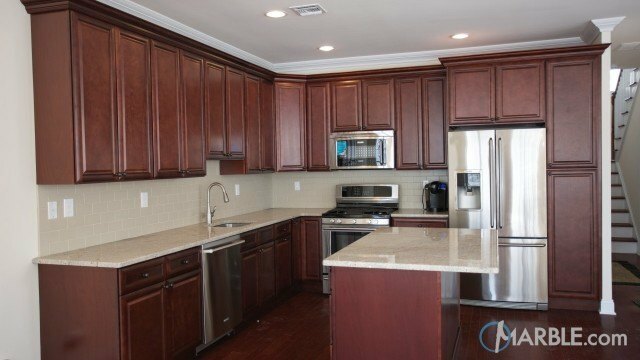 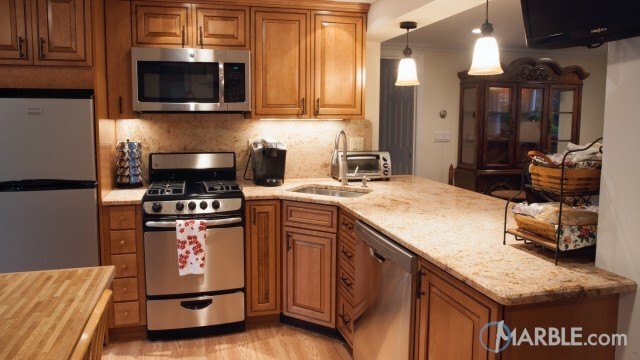 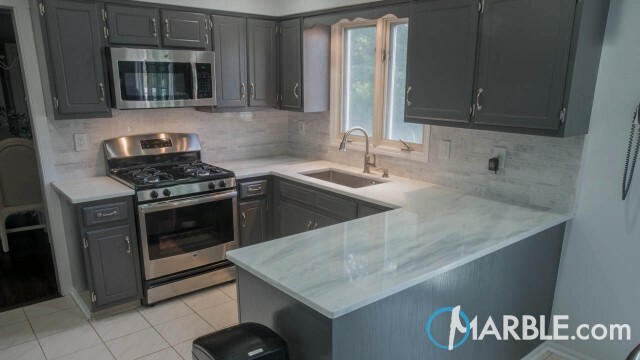 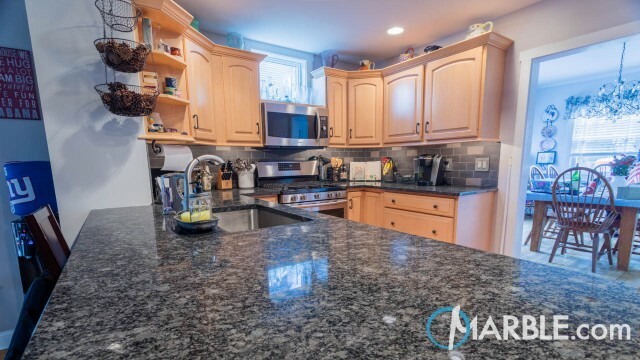 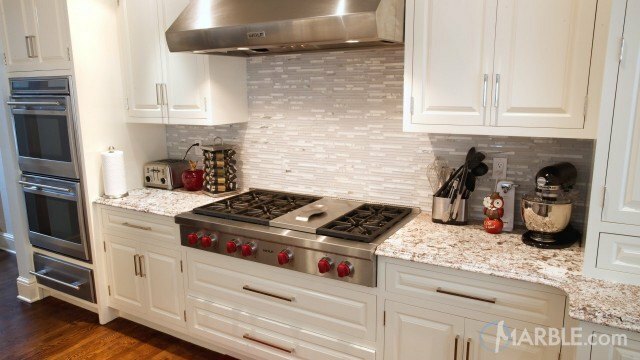 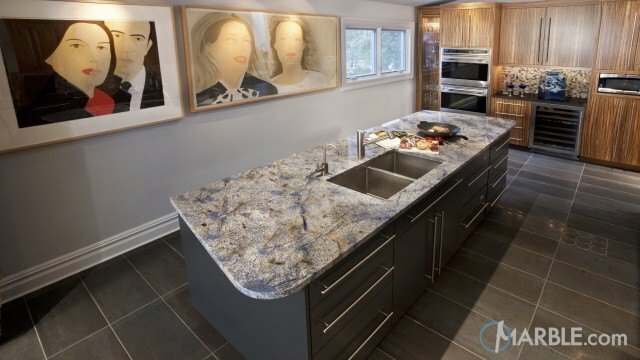 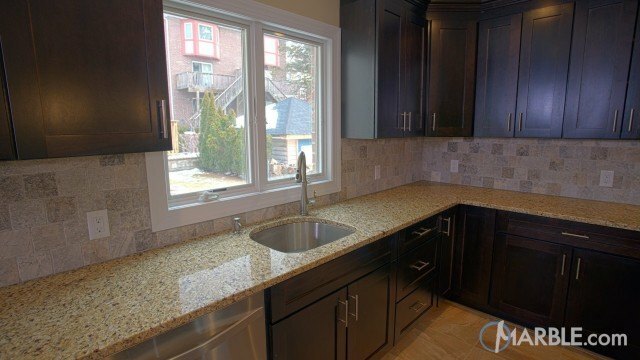 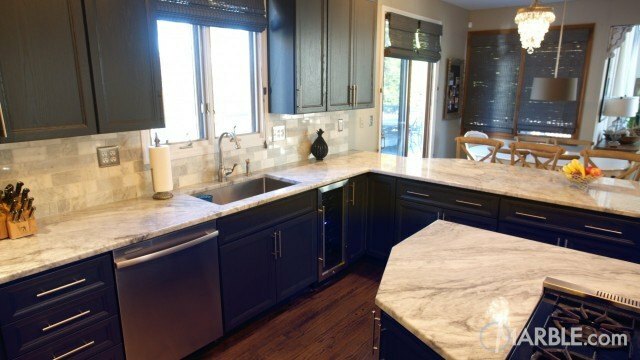 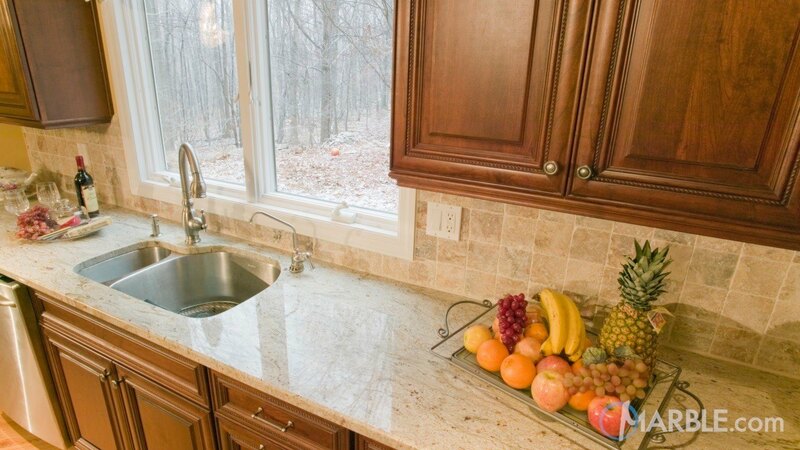 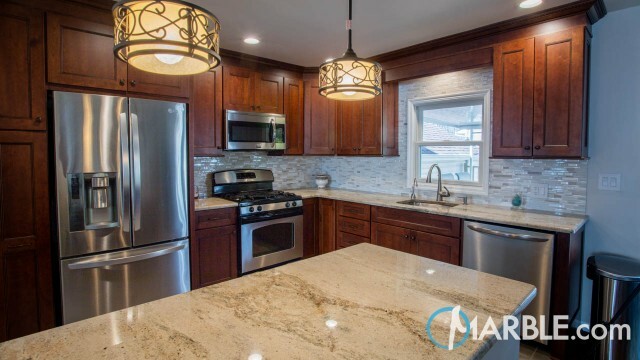 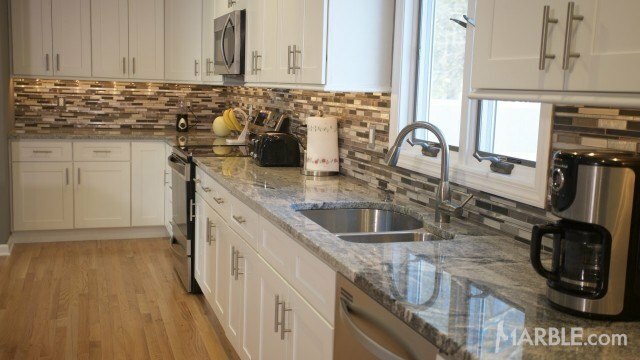 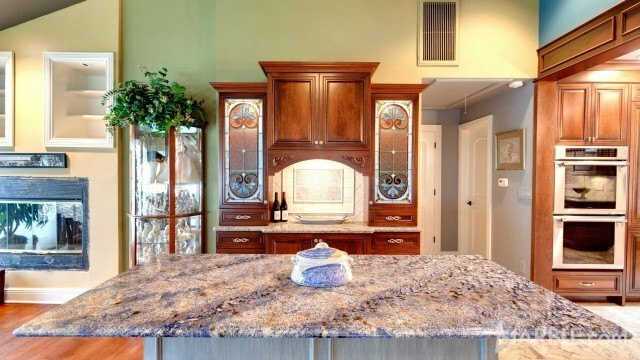 This dark wood kitchen cabinet makes a great canvas for this stunning Ambrosia White granite counter top. 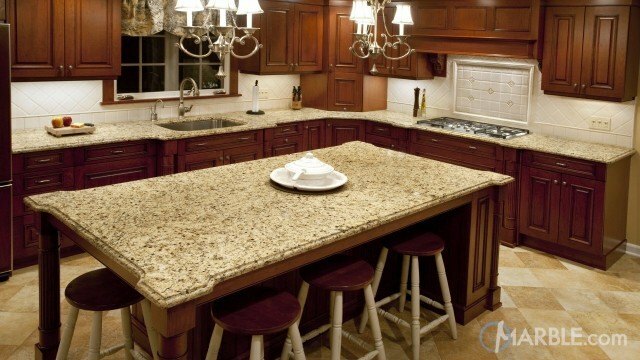 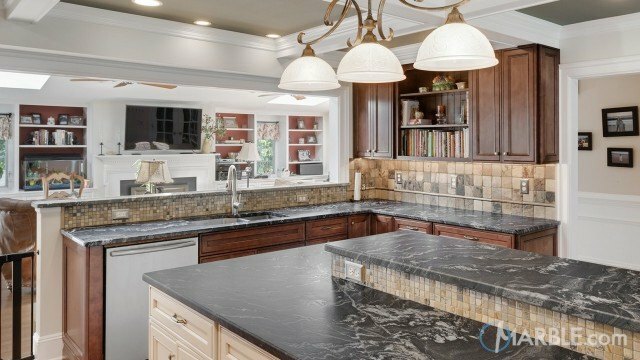 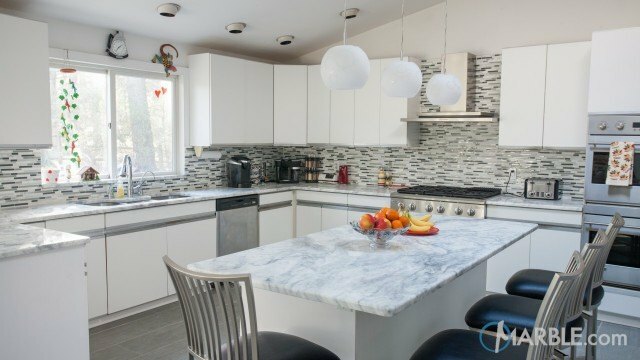 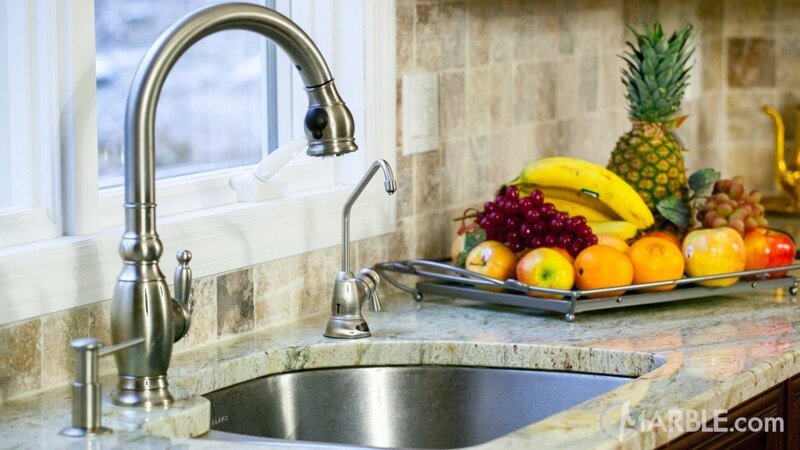 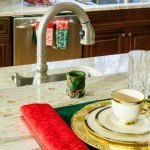 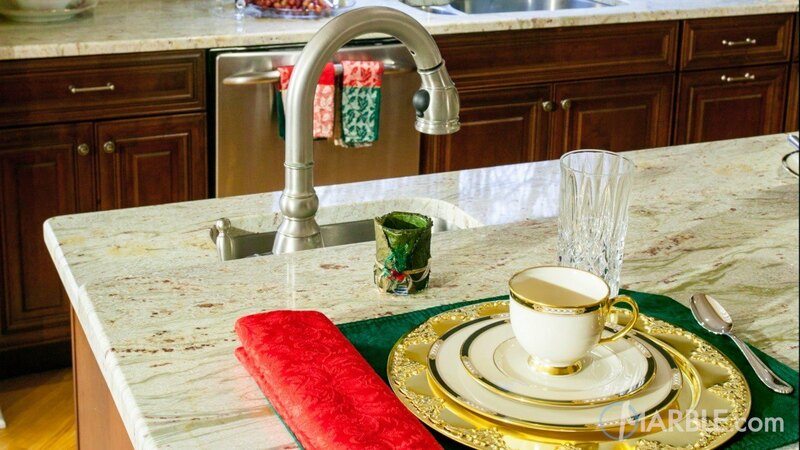 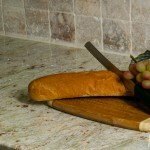 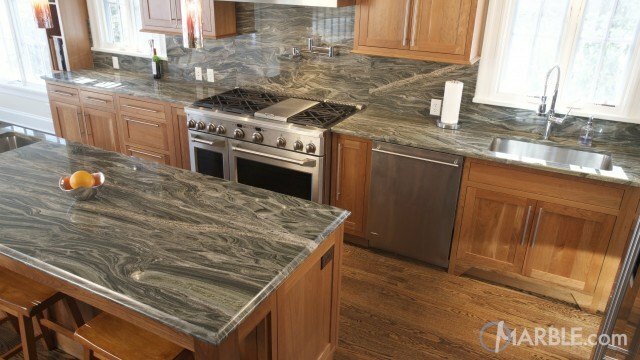 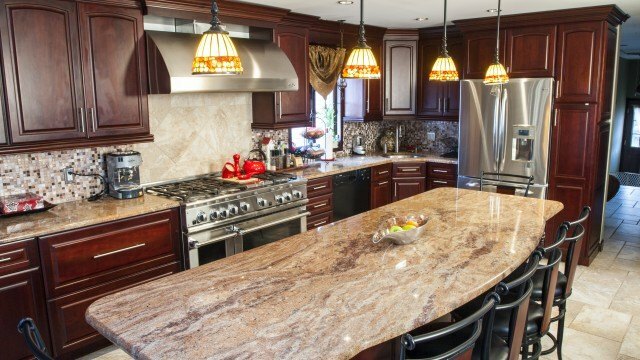 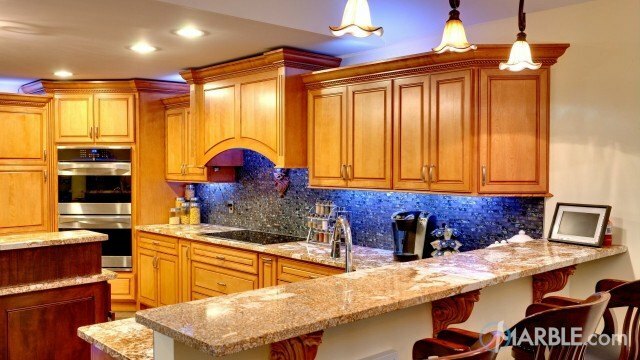 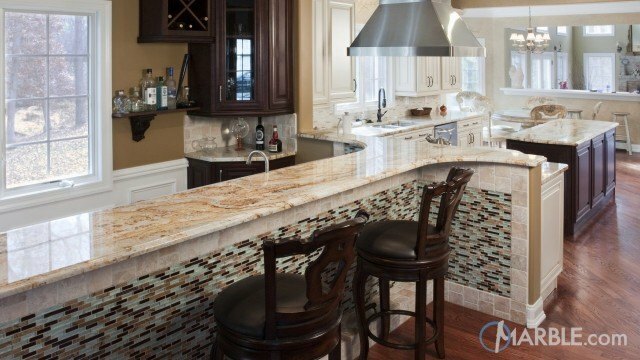 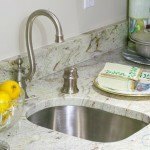 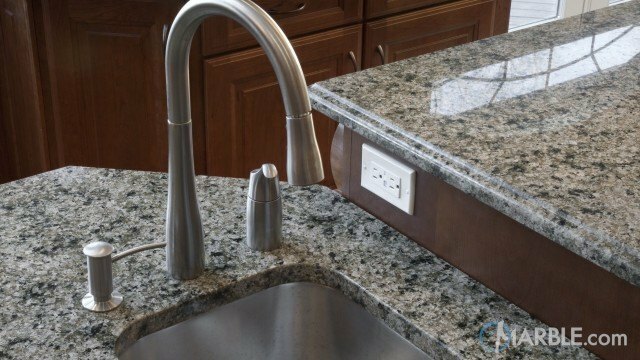 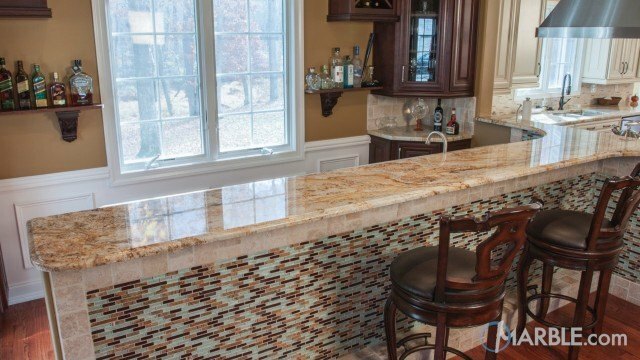 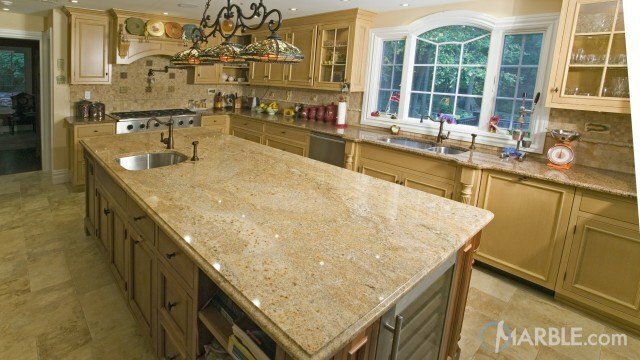 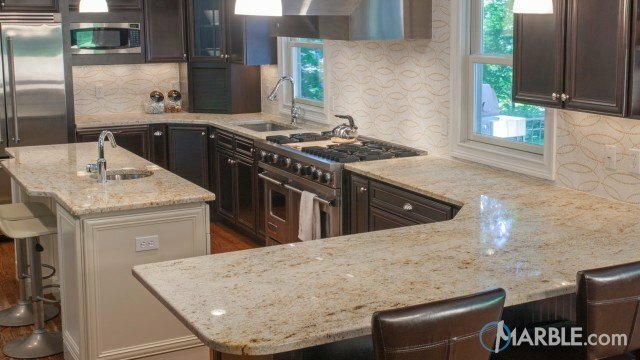 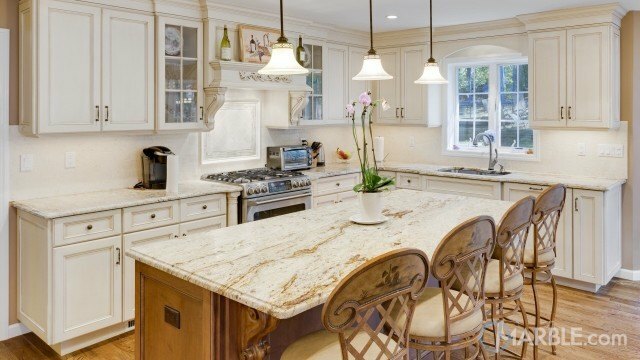 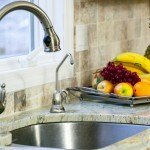 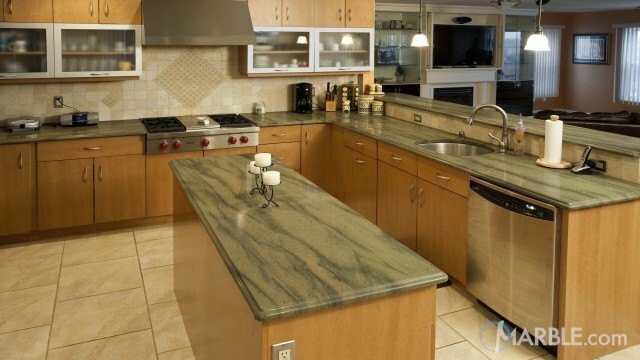 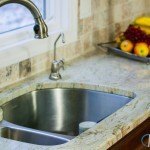 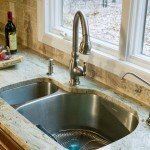 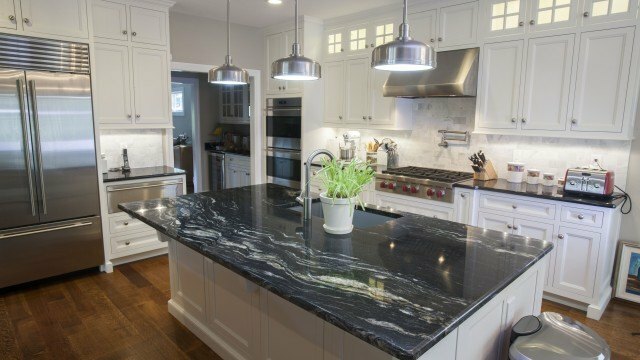 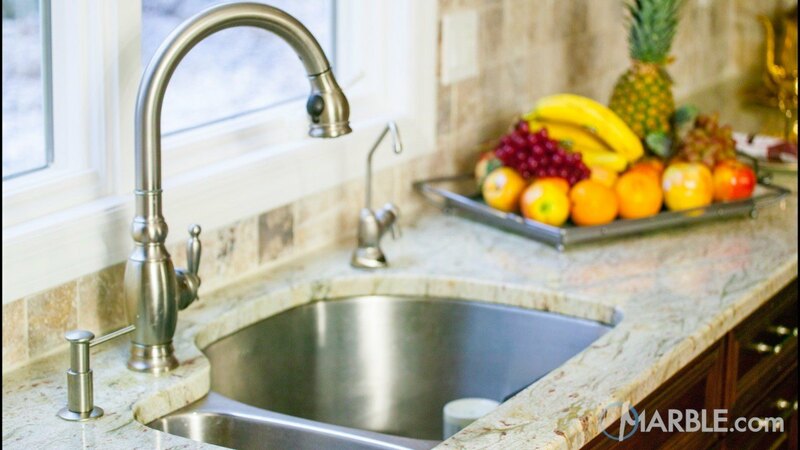 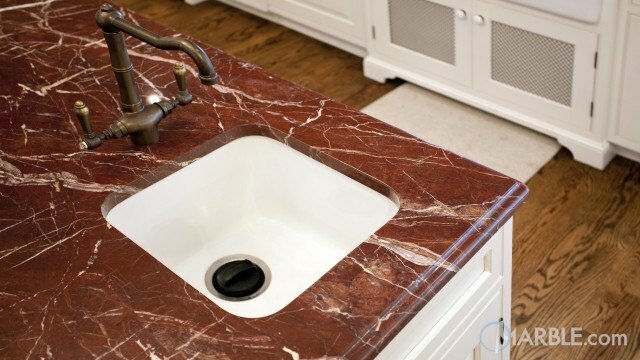 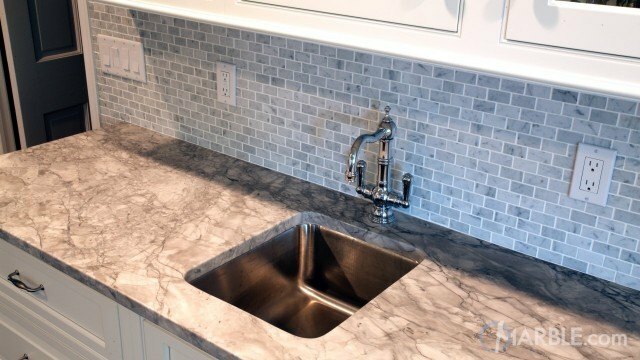 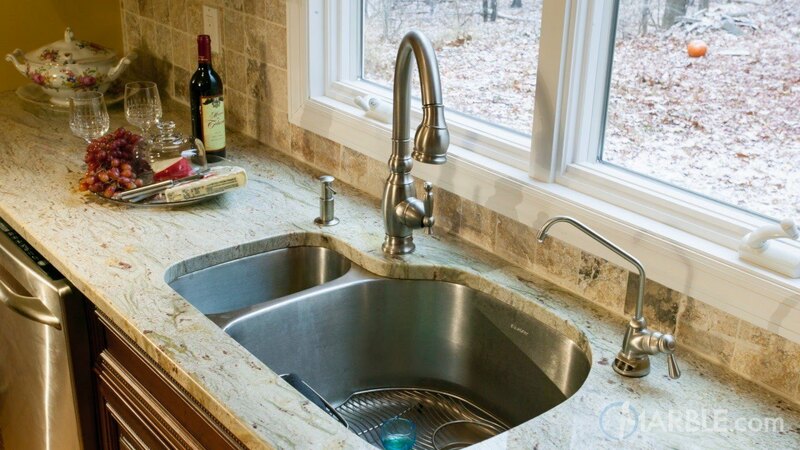 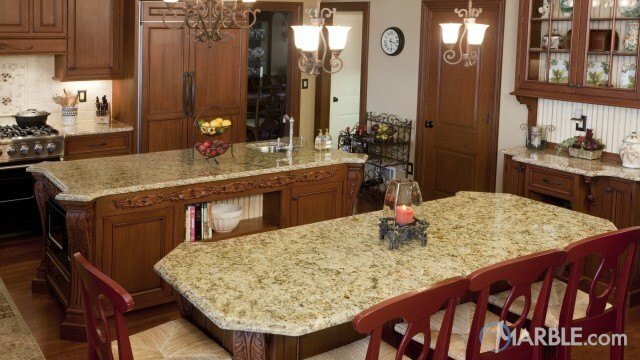 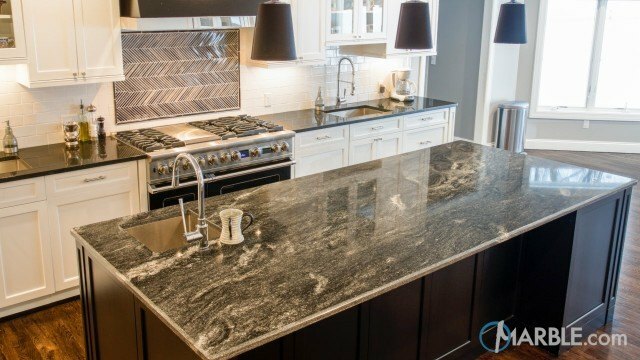 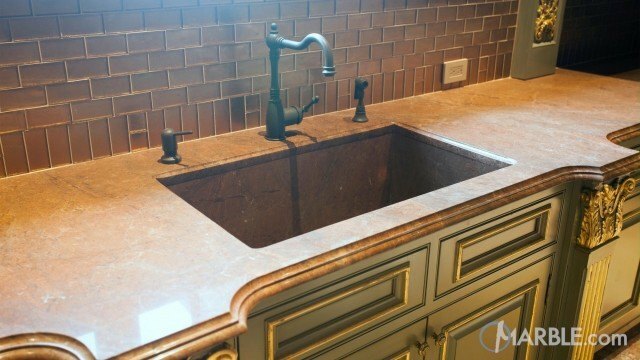 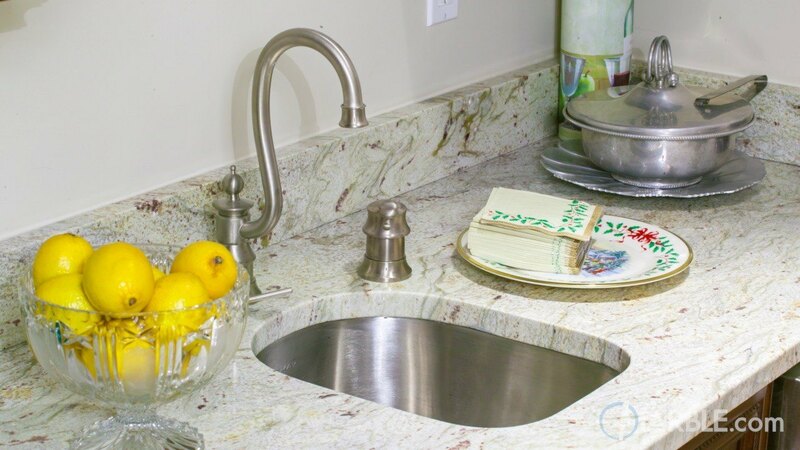 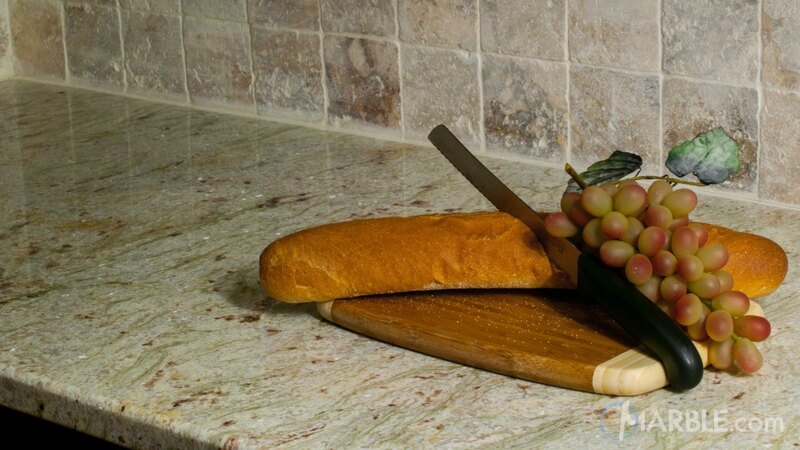 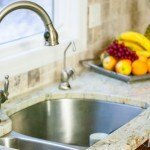 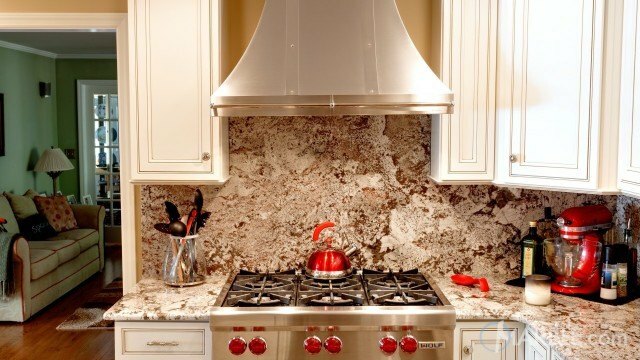 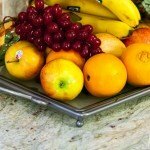 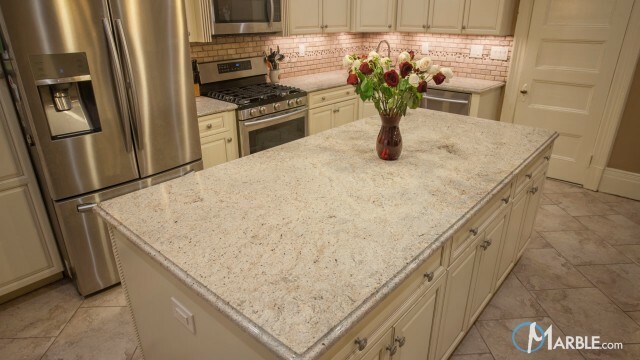 This natural stone helps to lighten the room and adds beauty with its flowing veins and speckles. 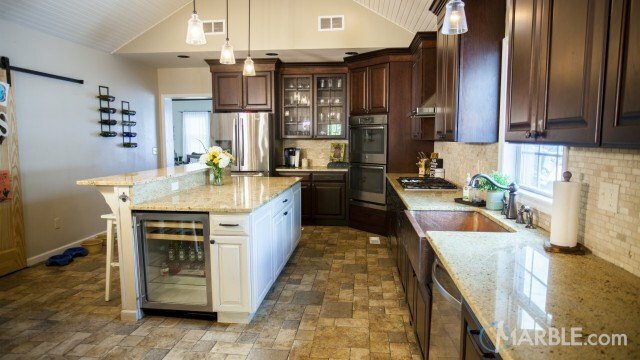 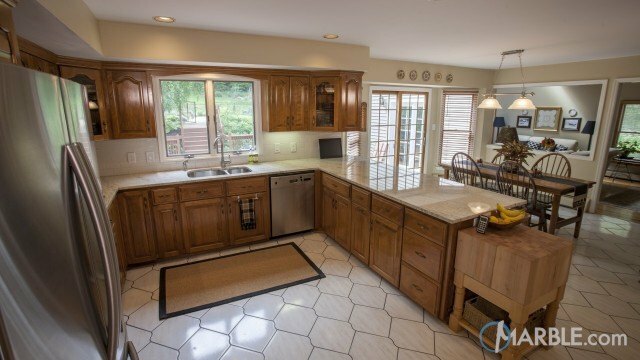 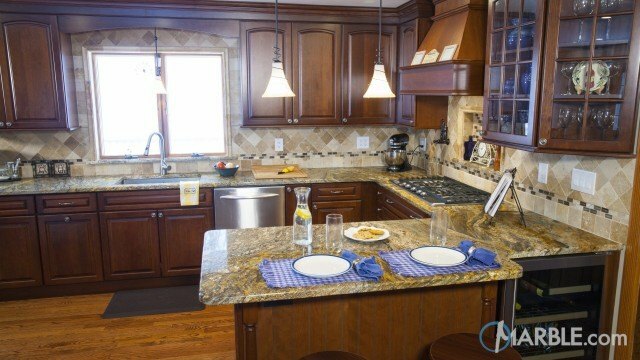 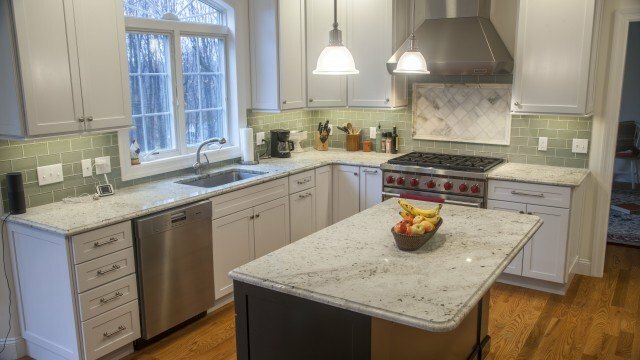 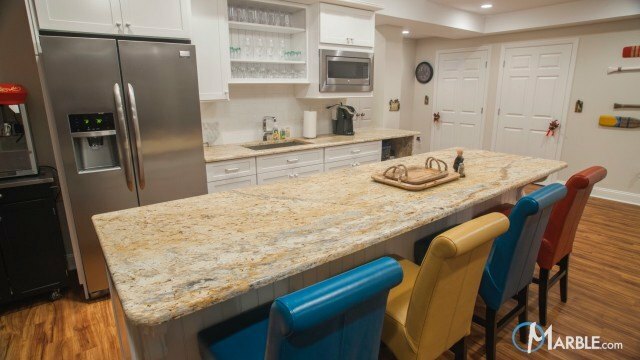 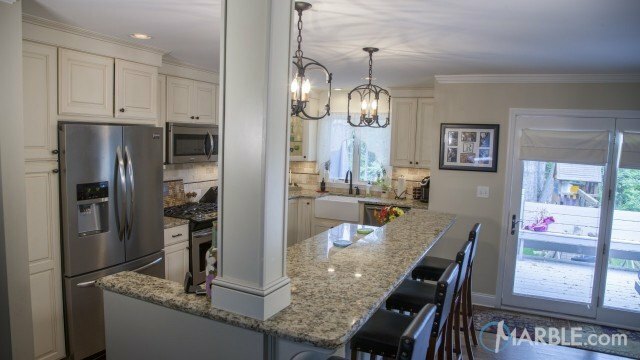 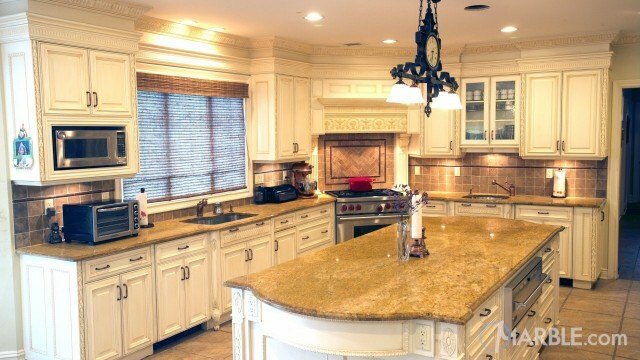 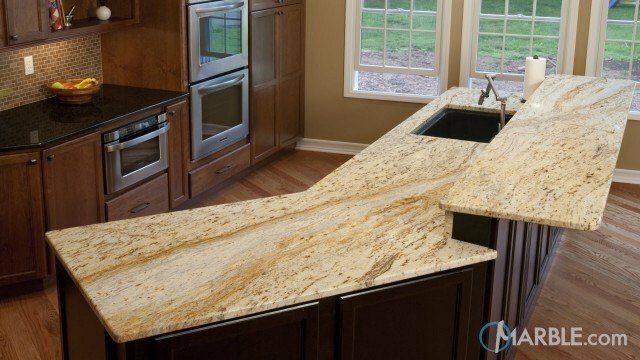 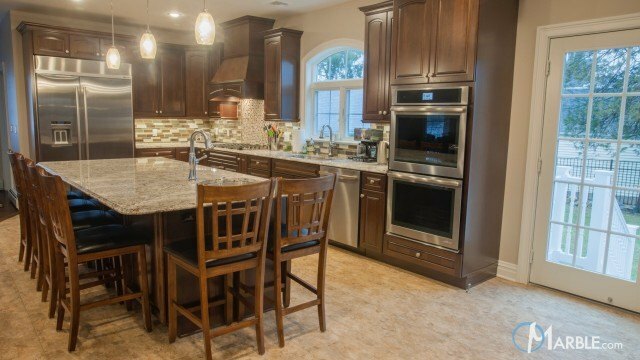 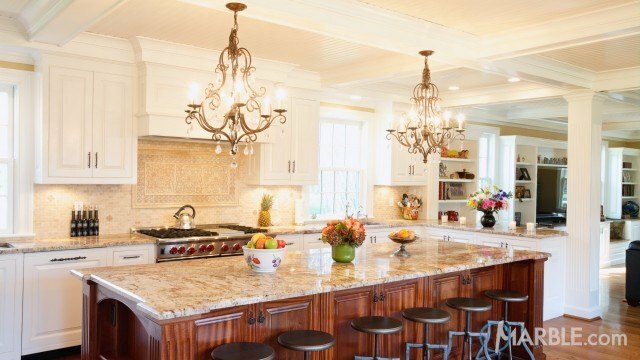 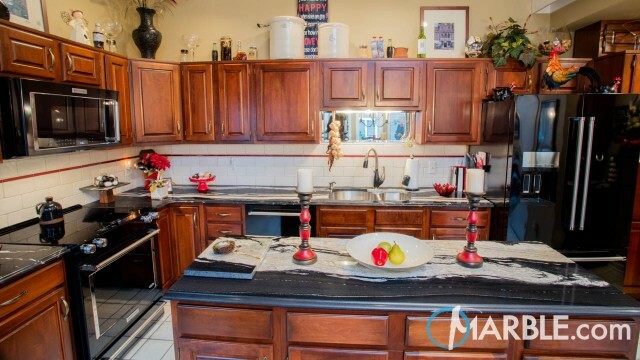 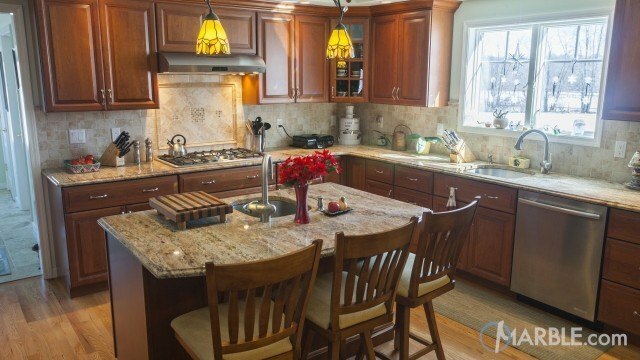 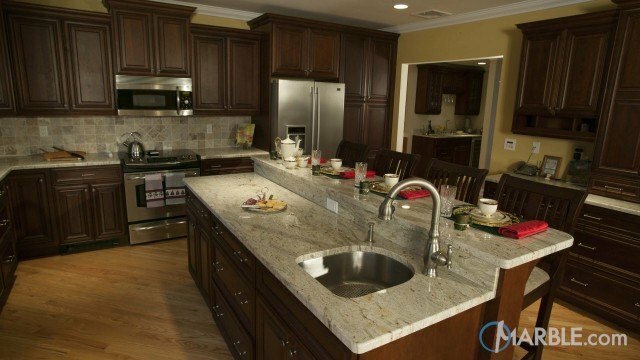 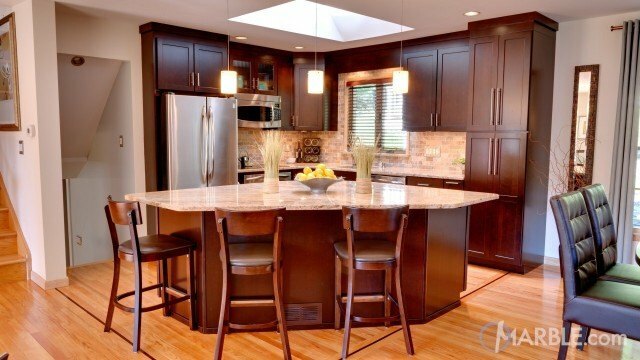 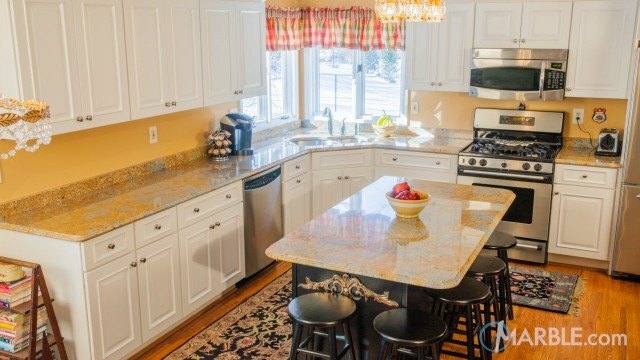 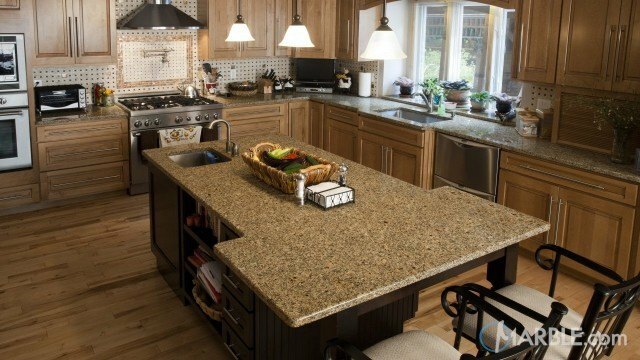 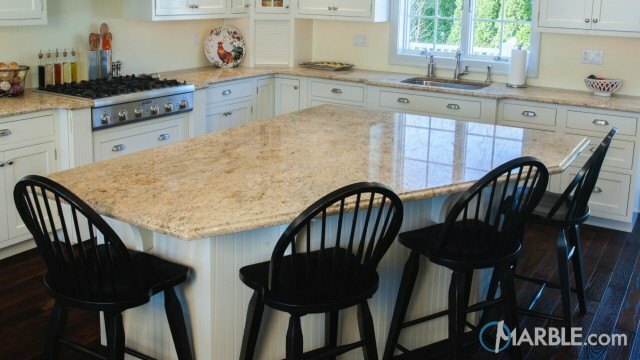 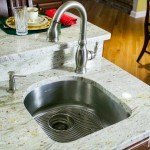 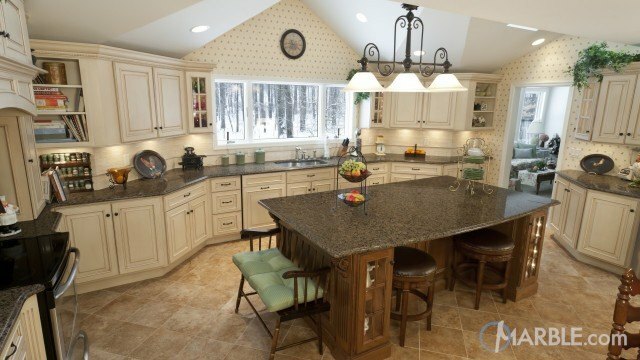 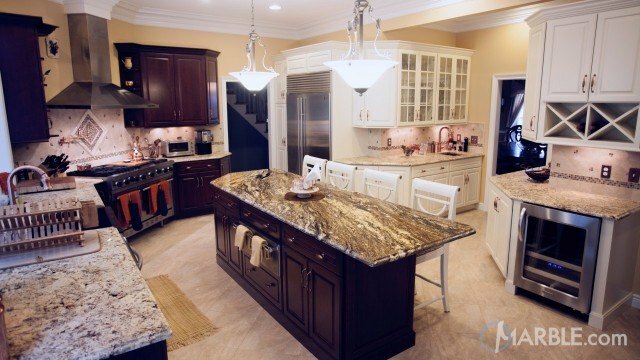 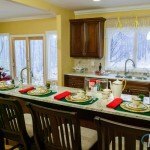 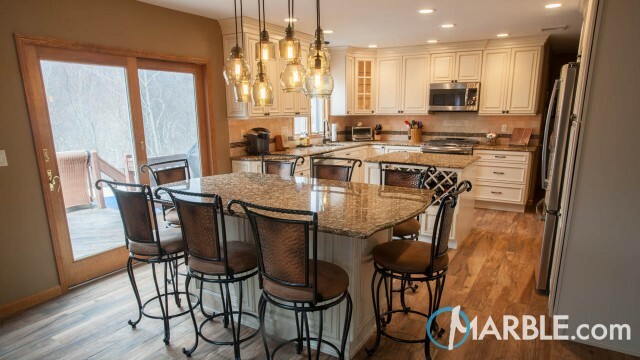 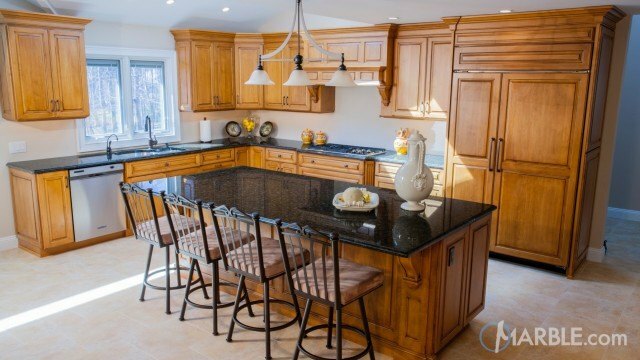 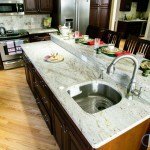 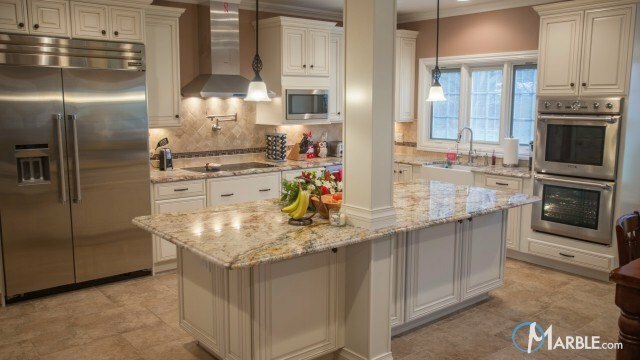 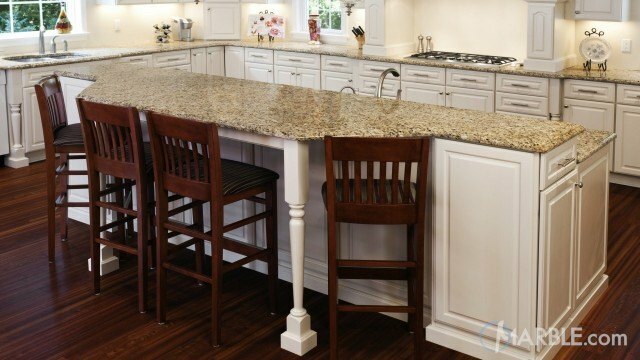 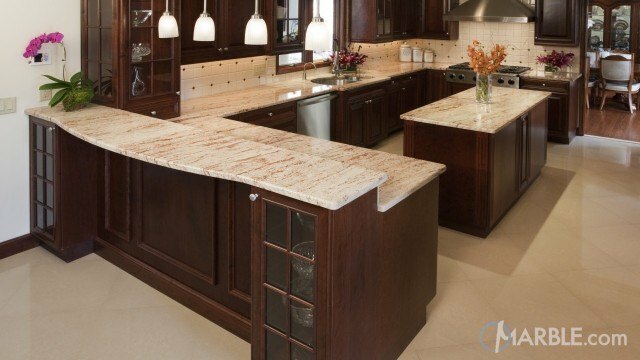 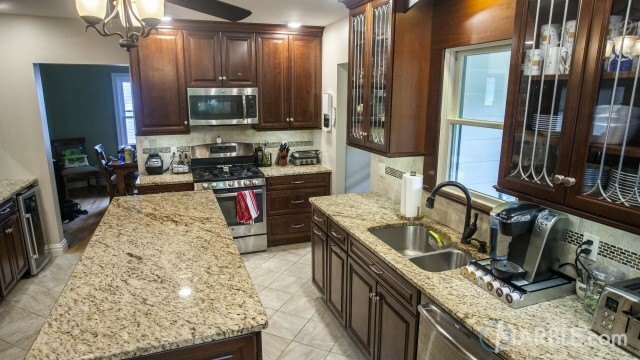 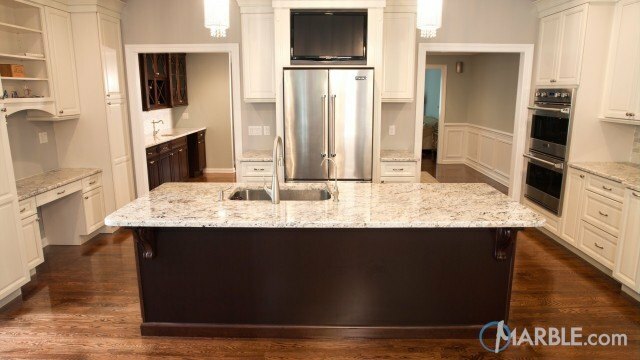 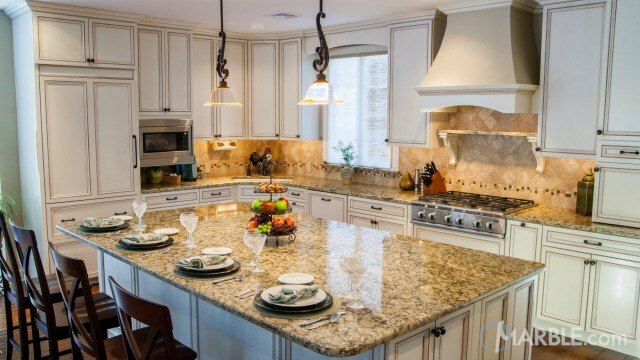 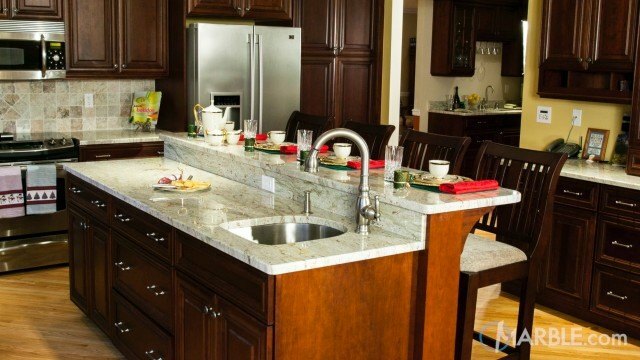 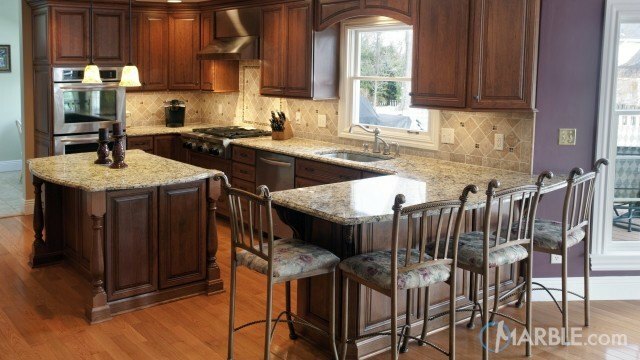 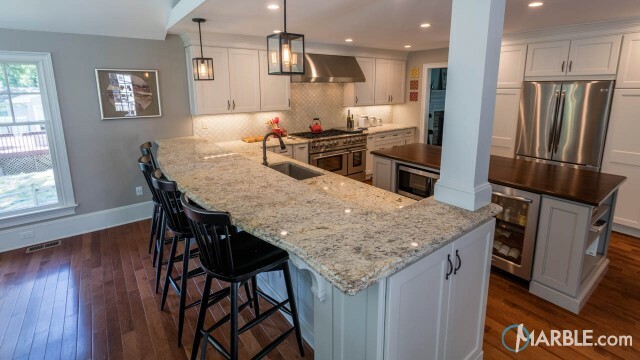 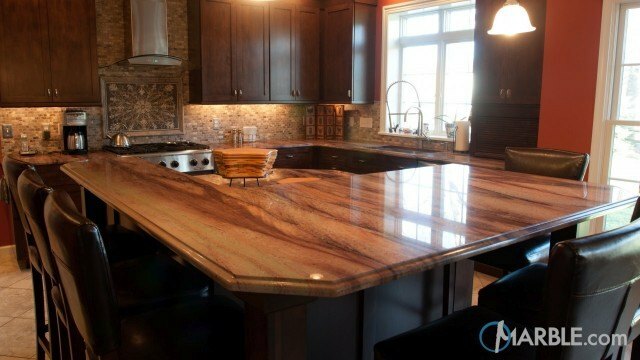 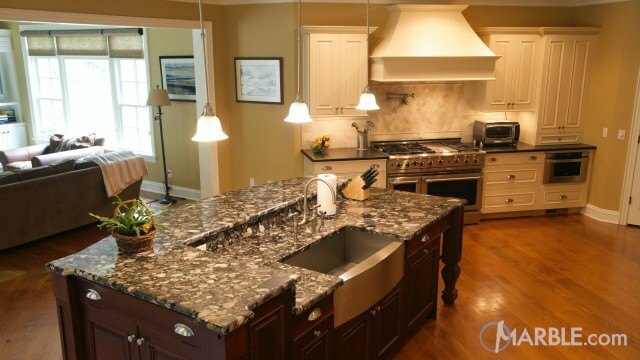 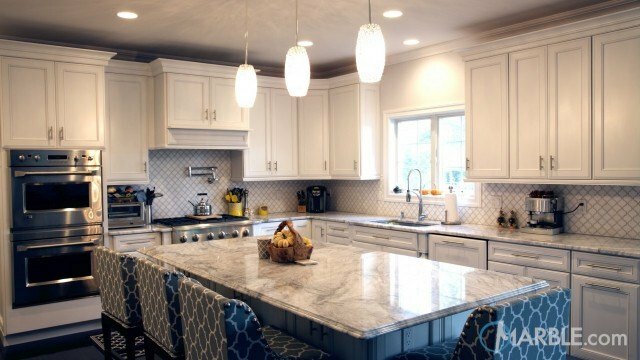 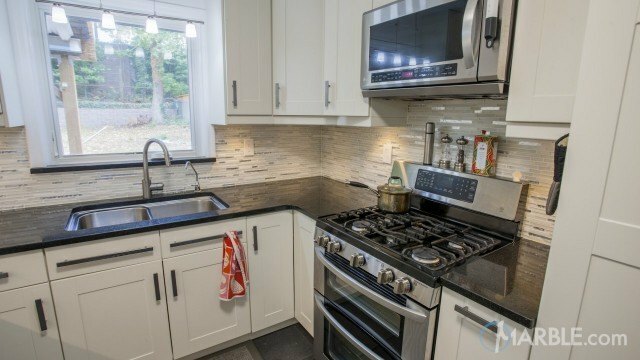 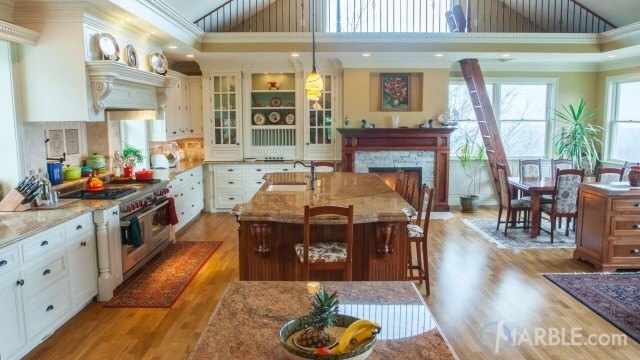 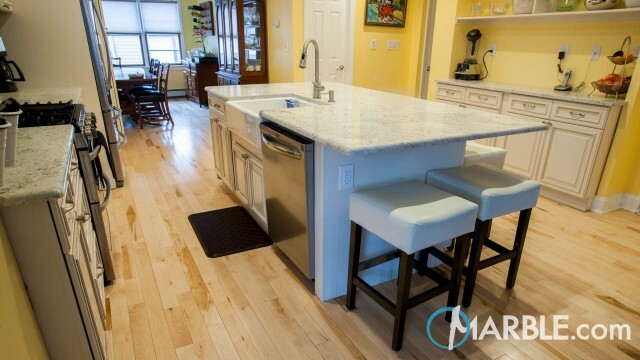 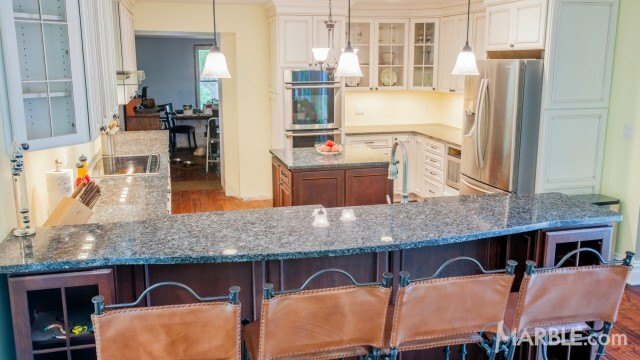 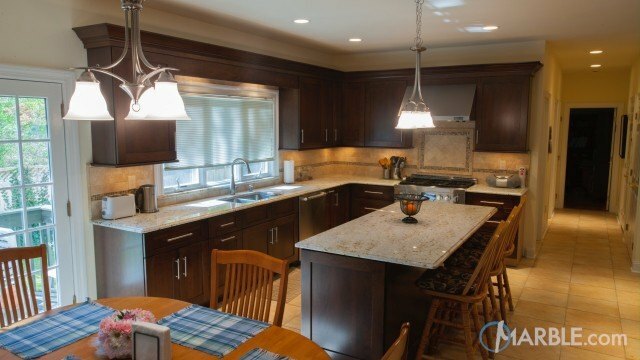 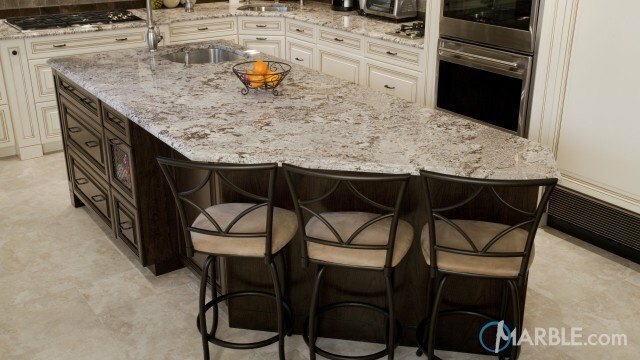 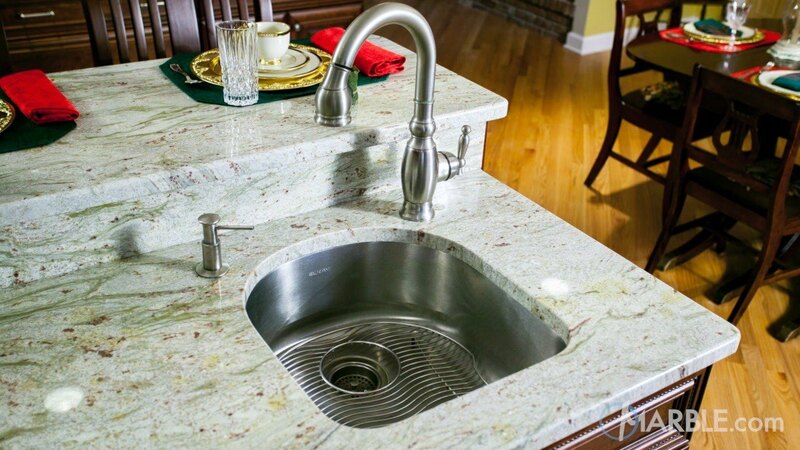 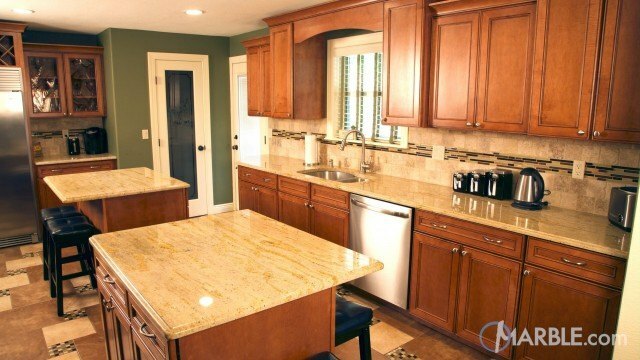 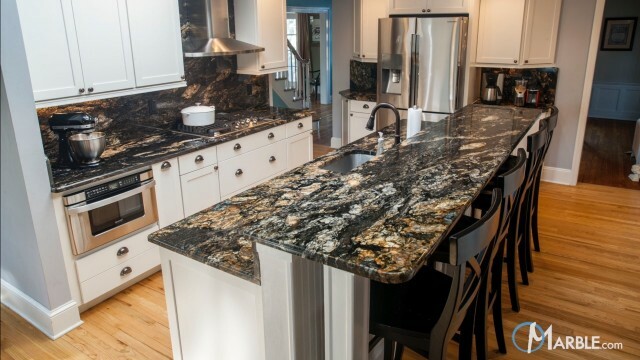 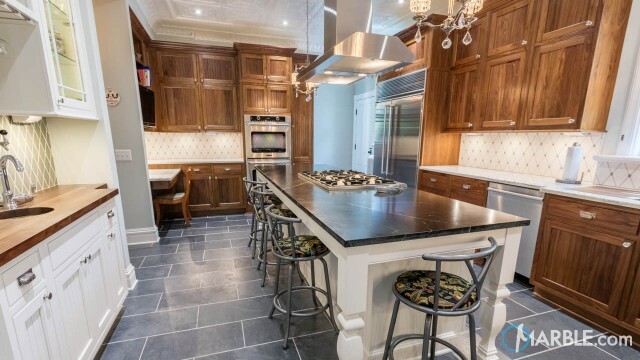 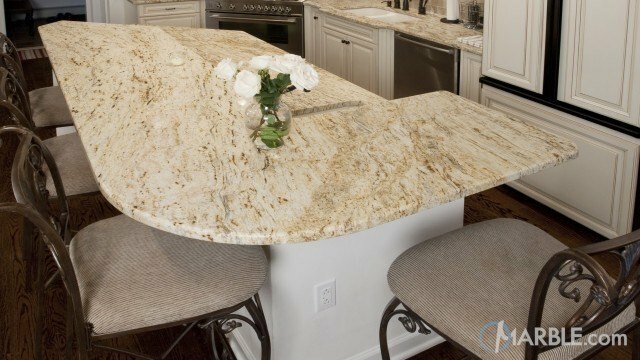 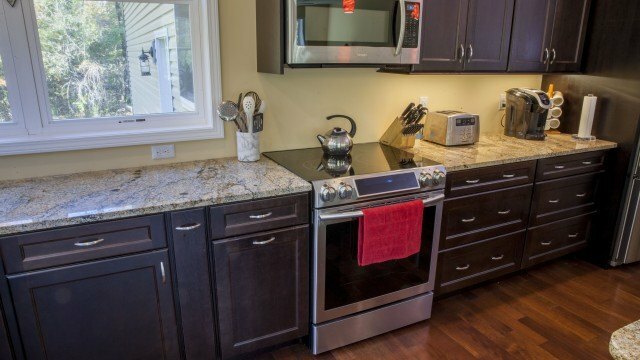 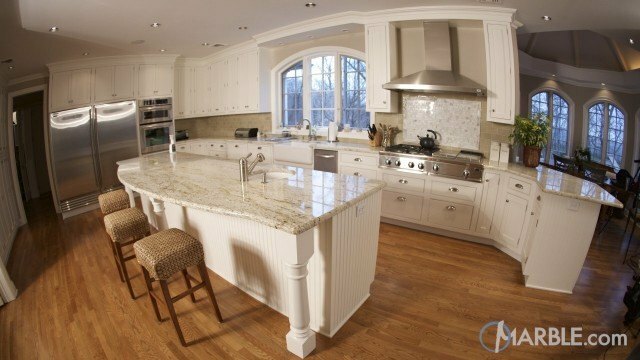 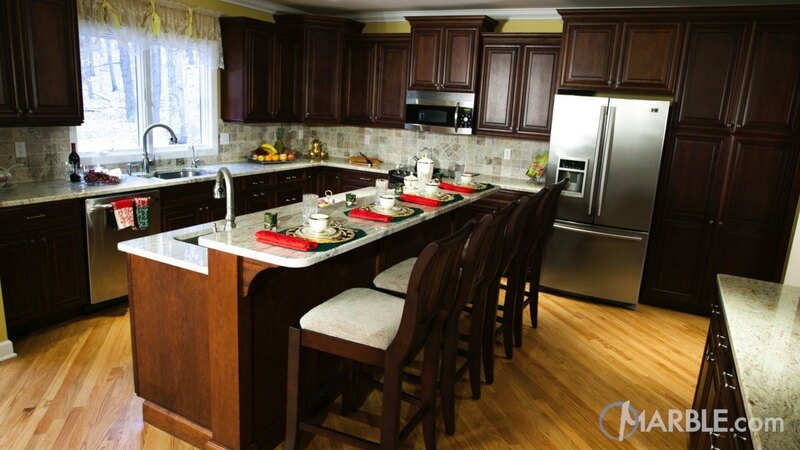 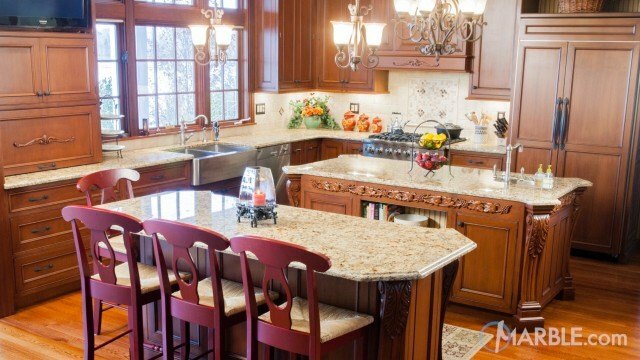 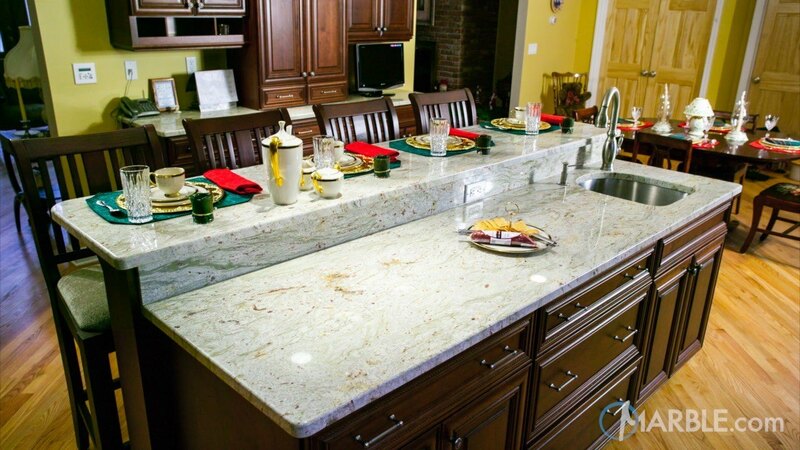 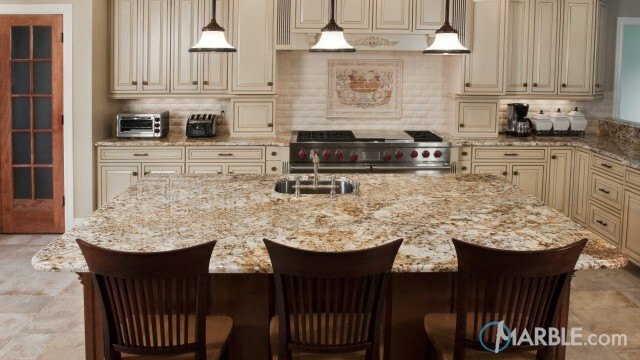 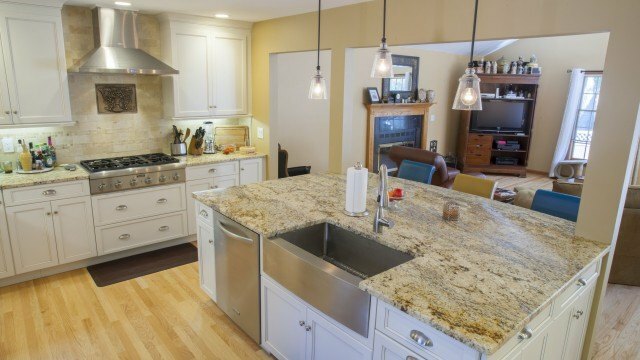 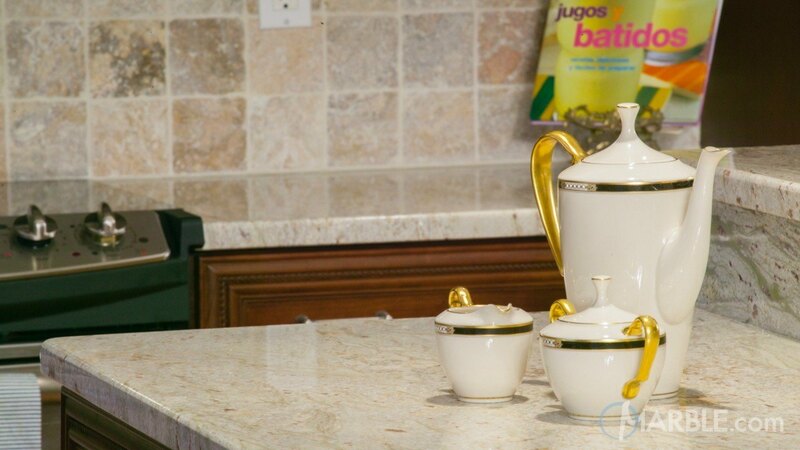 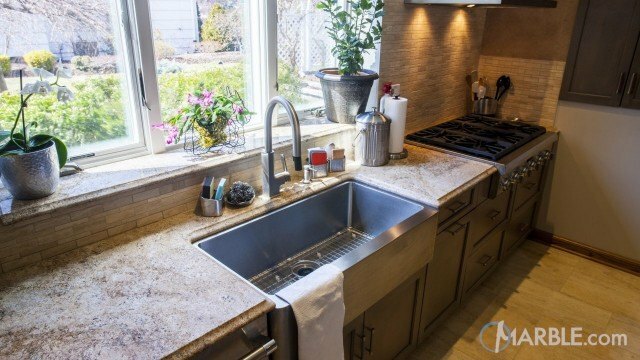 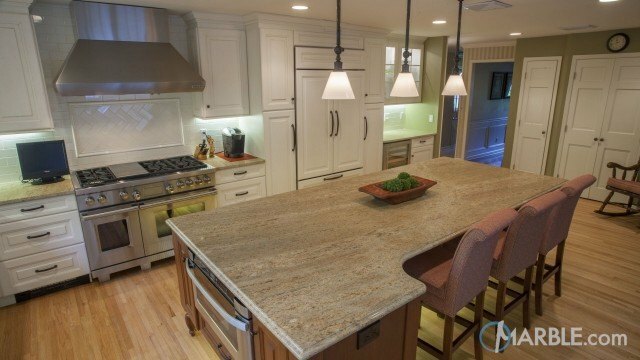 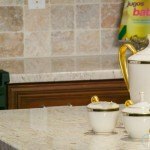 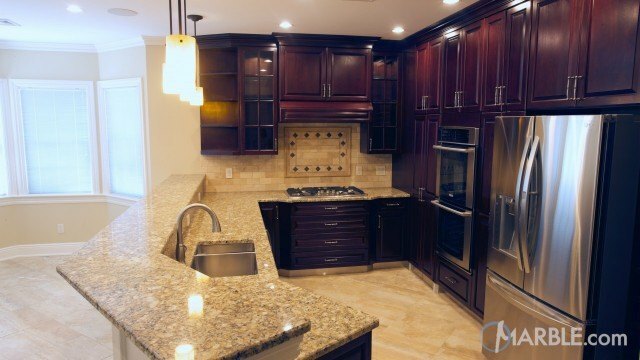 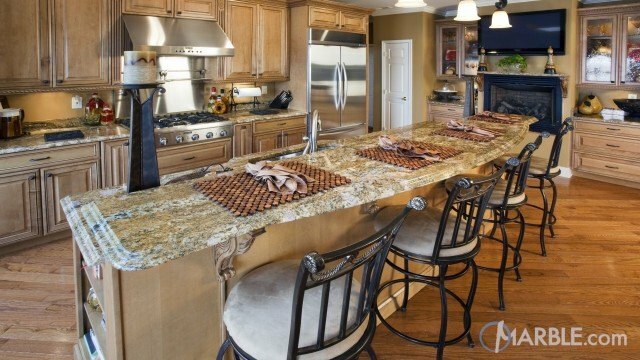 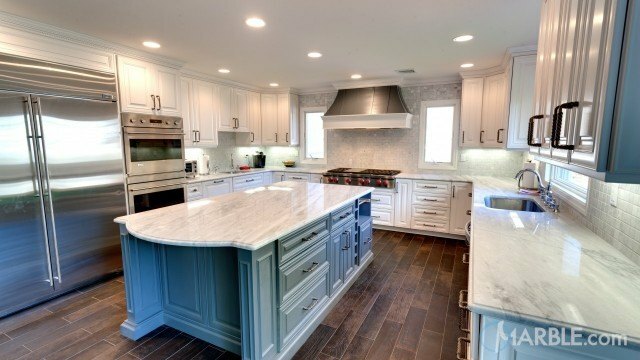 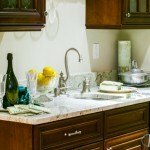 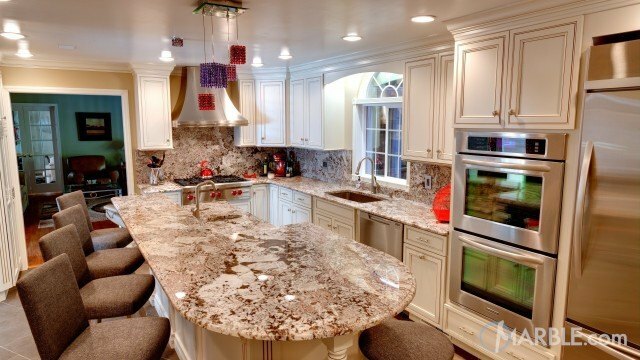 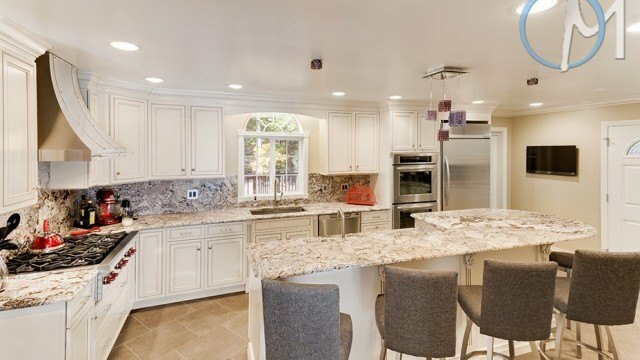 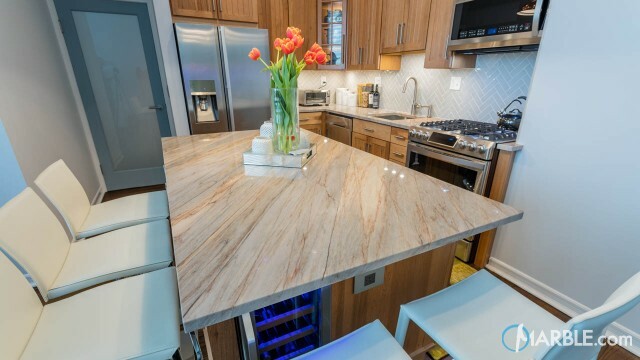 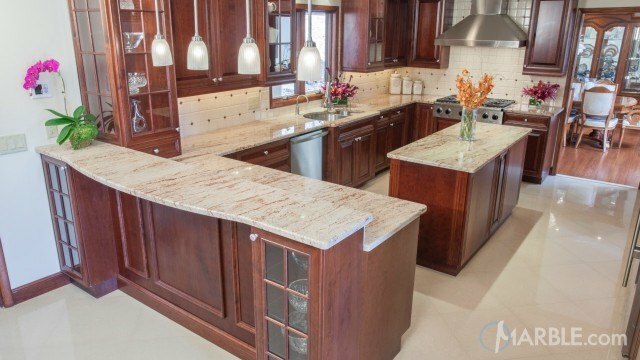 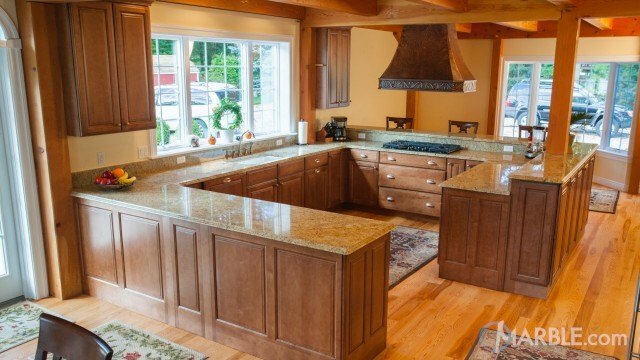 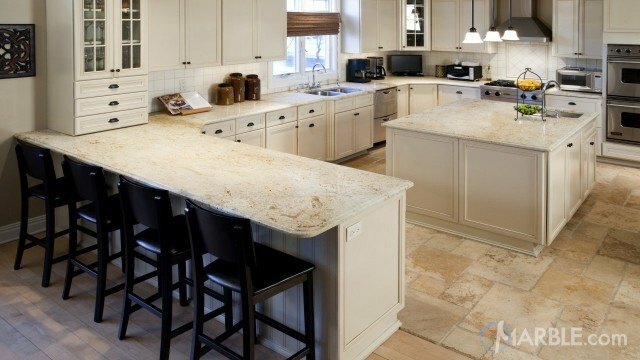 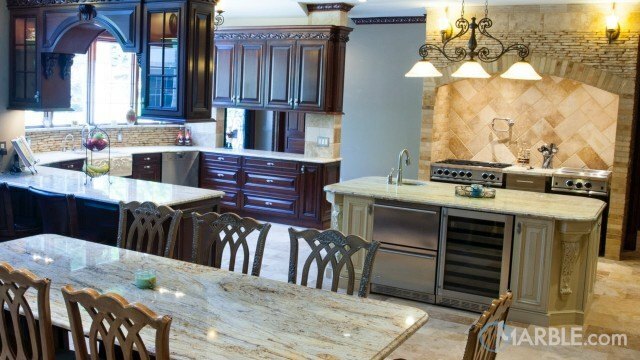 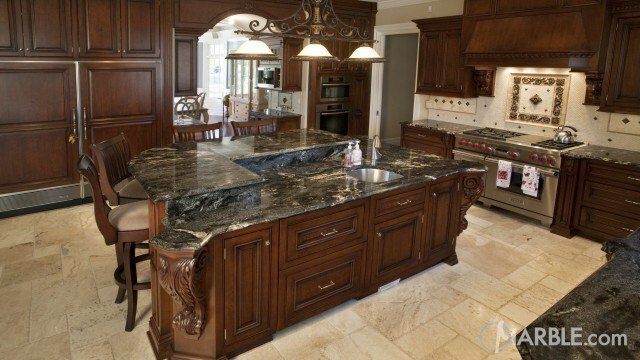 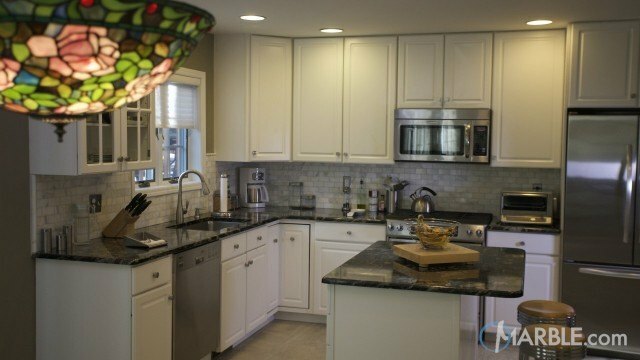 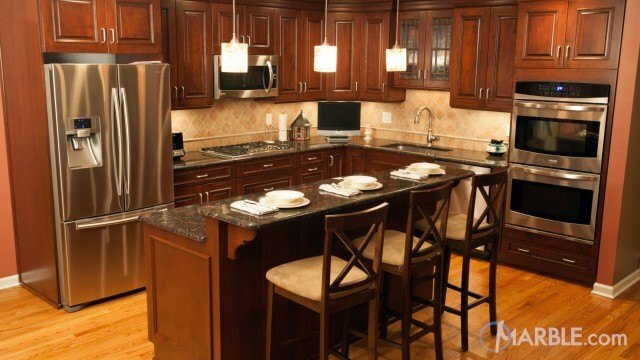 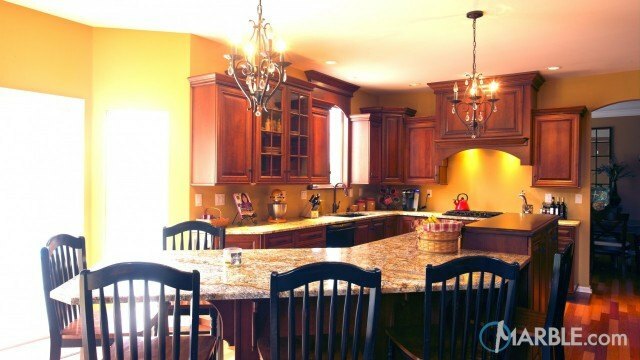 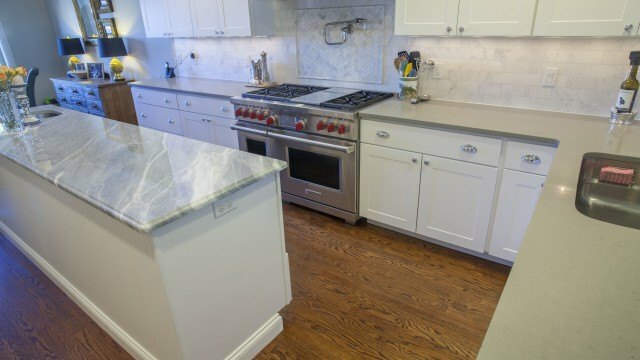 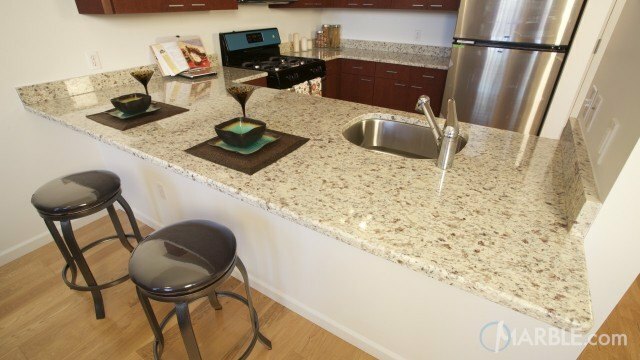 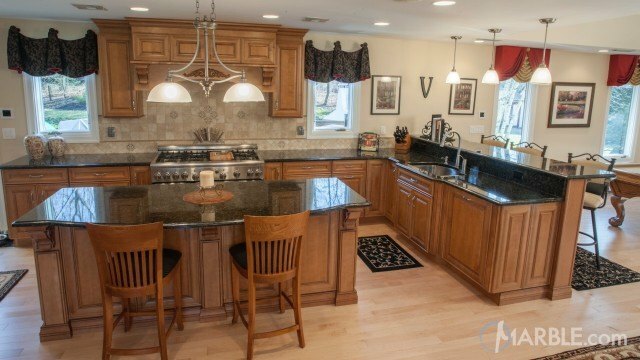 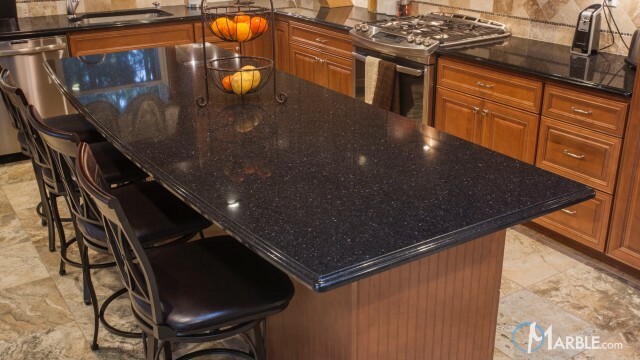 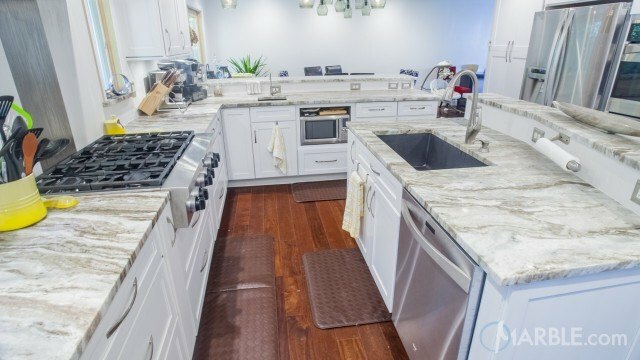 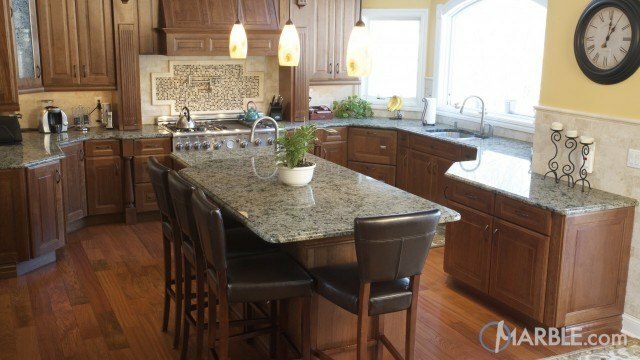 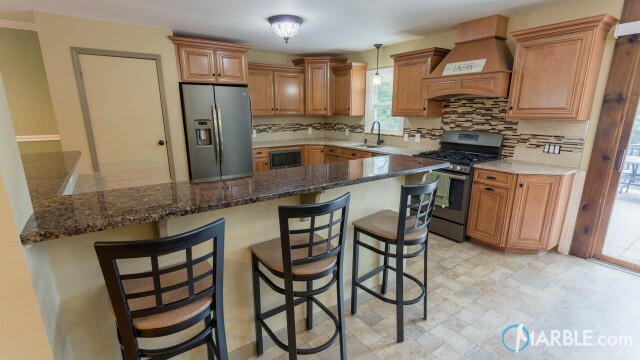 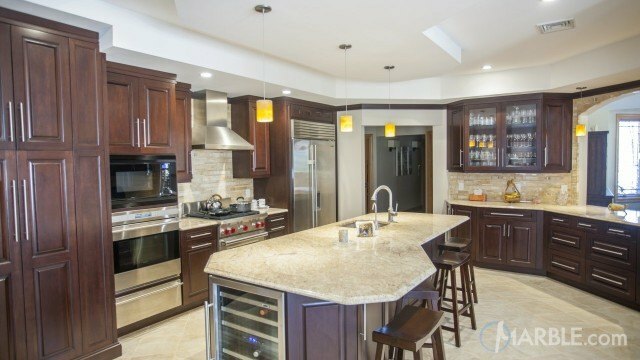 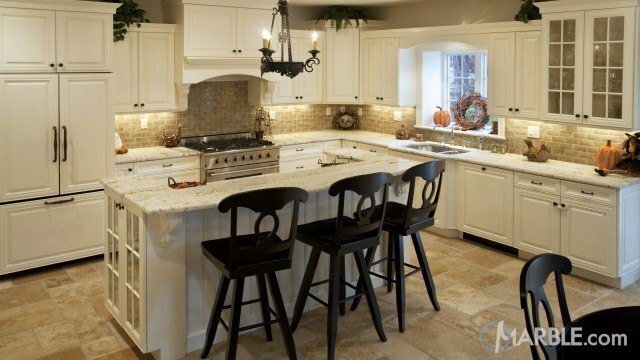 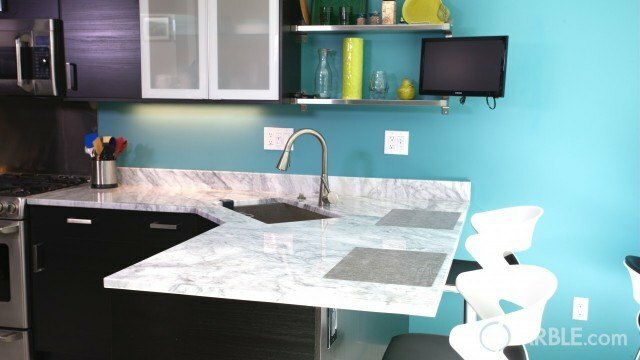 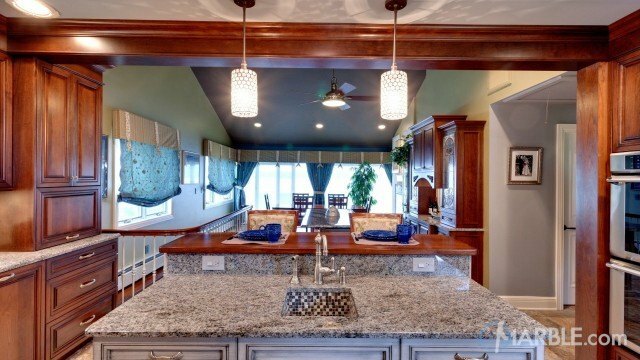 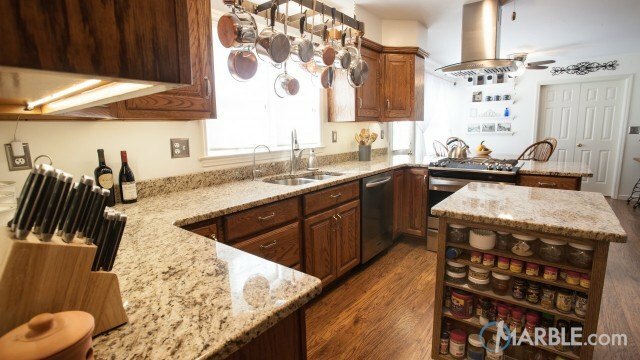 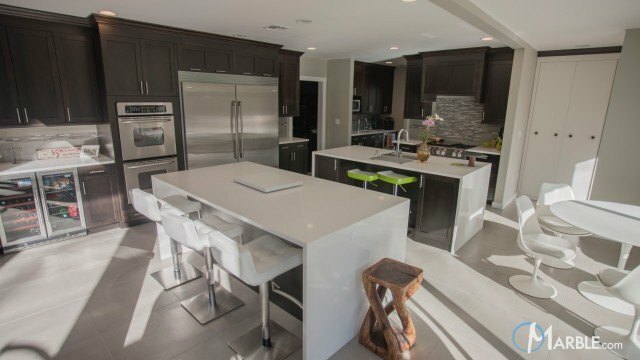 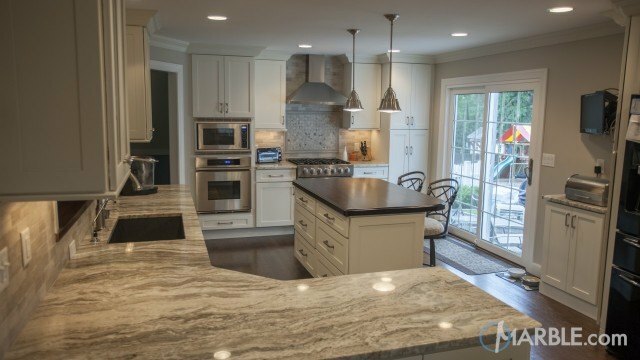 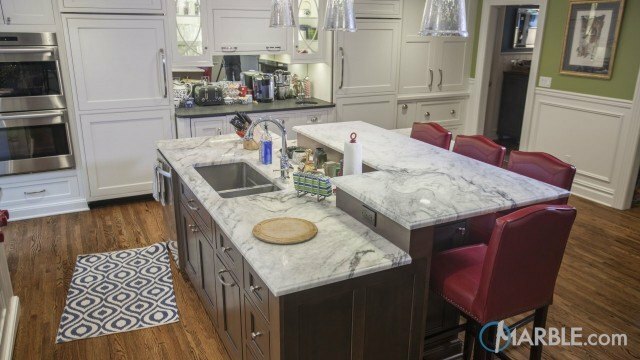 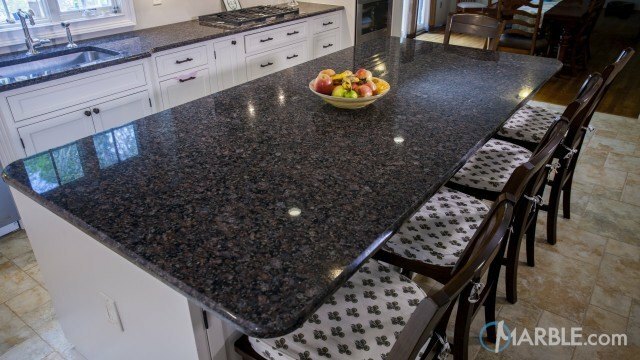 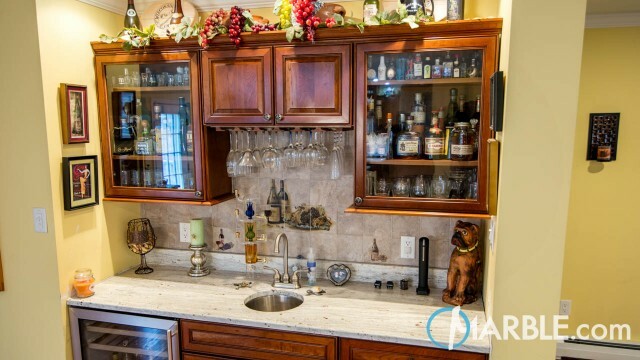 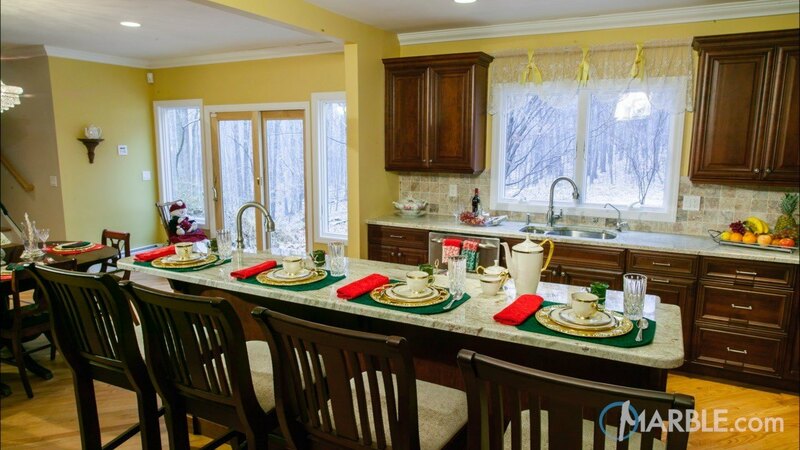 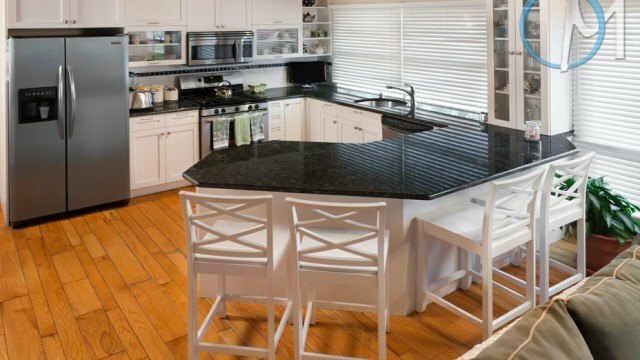 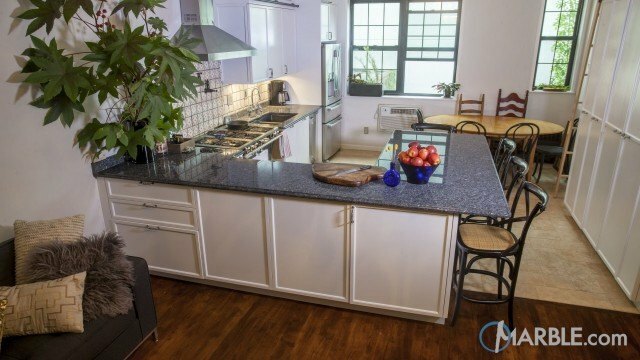 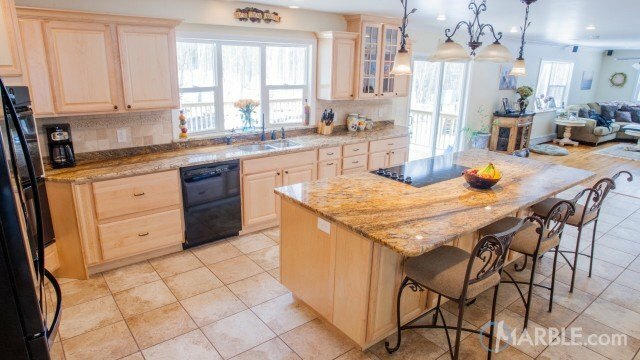 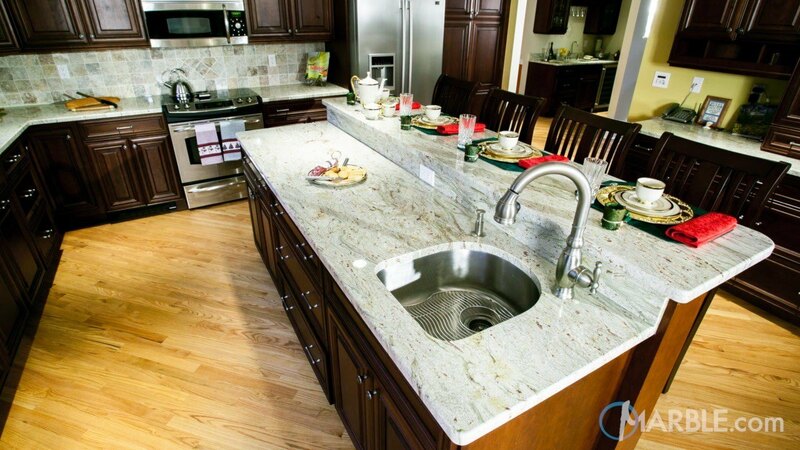 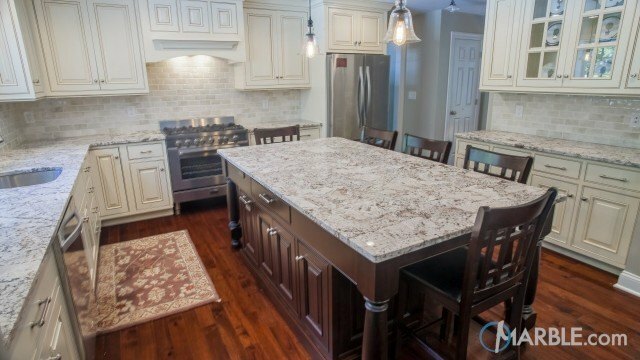 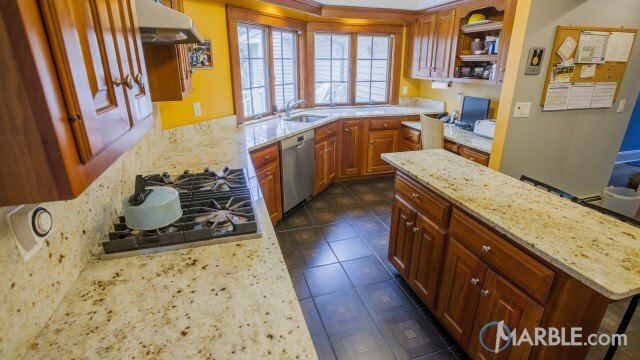 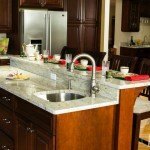 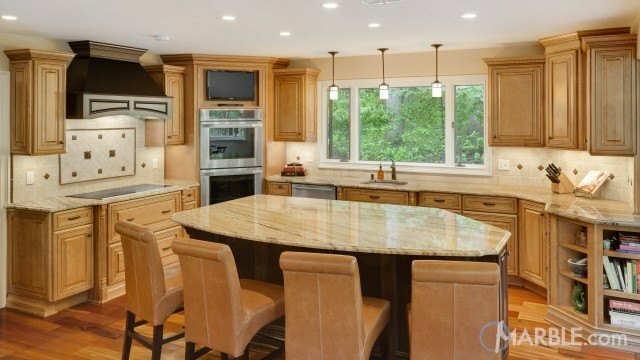 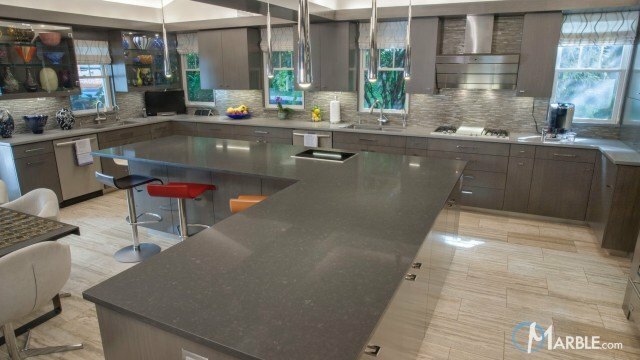 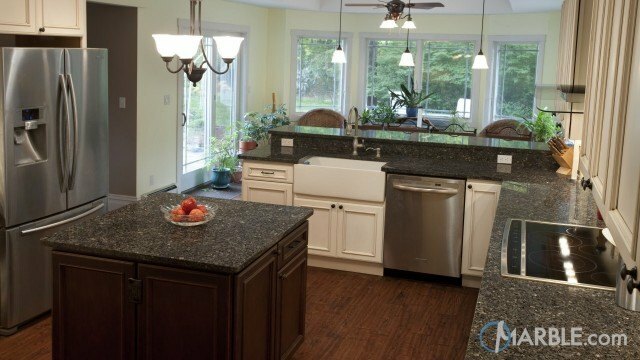 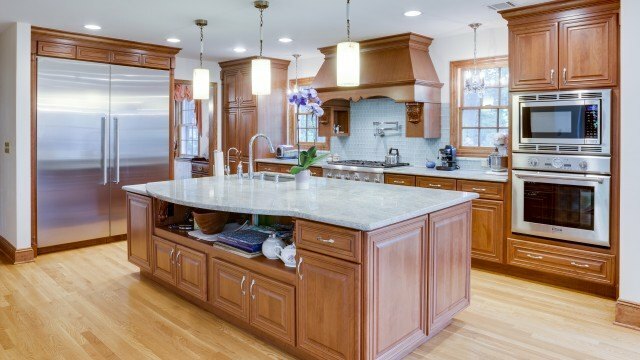 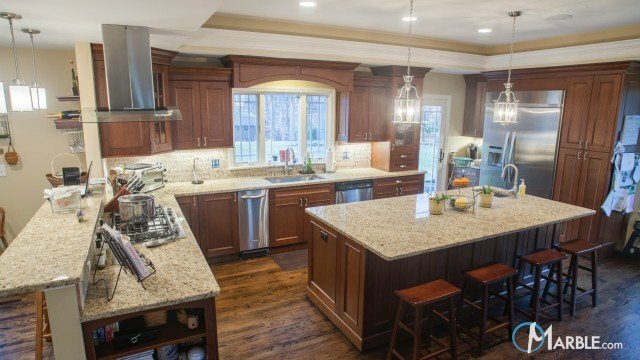 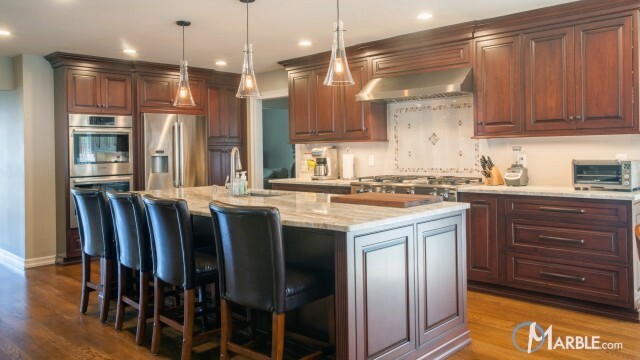 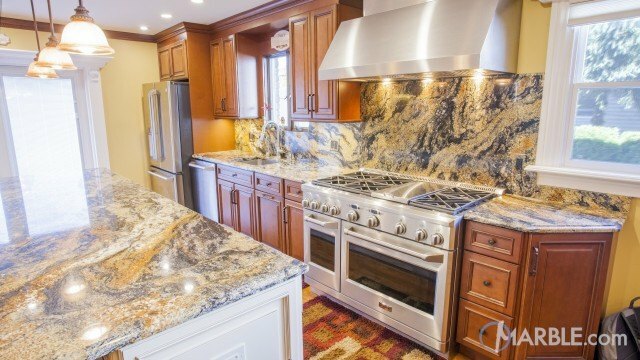 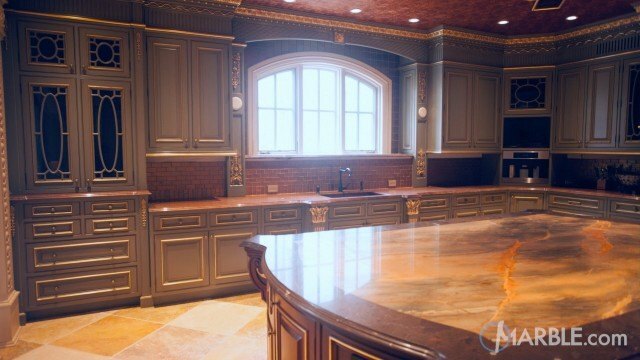 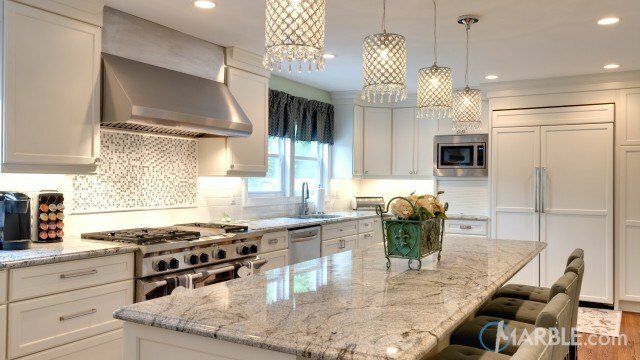 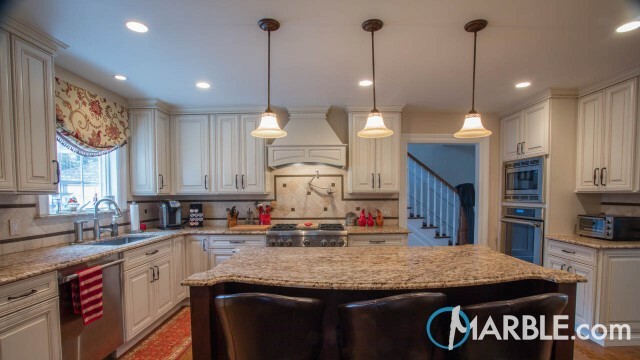 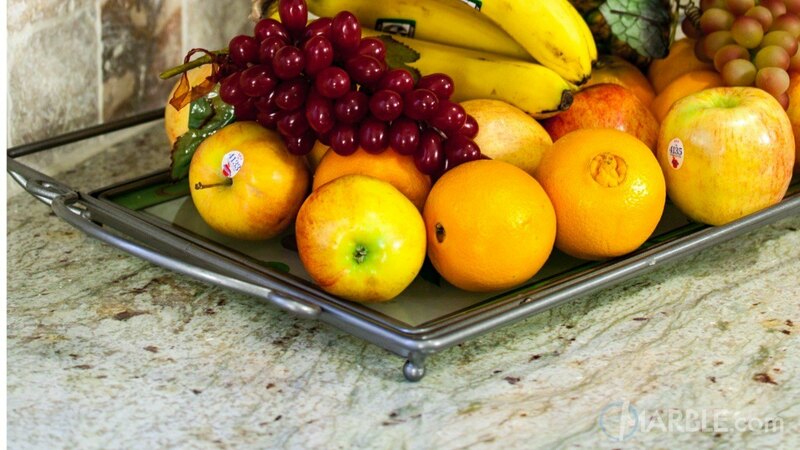 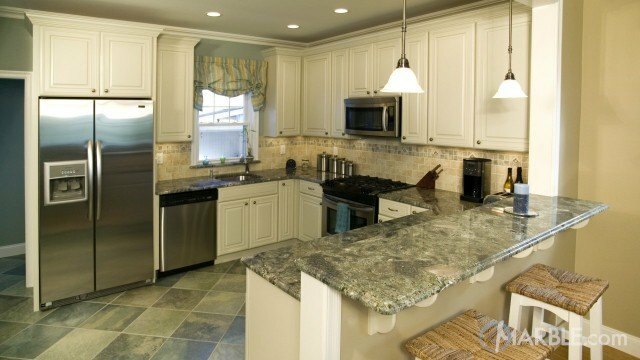 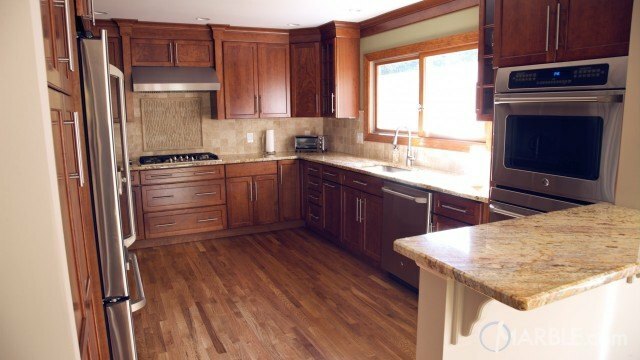 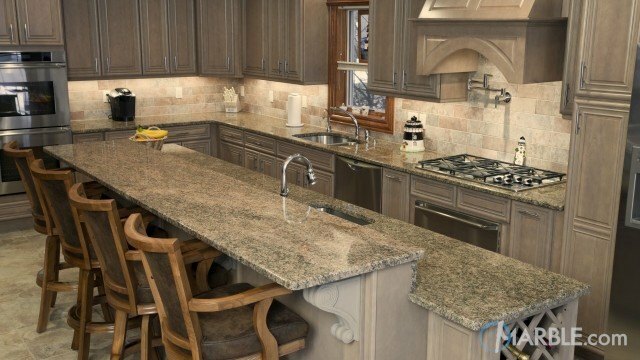 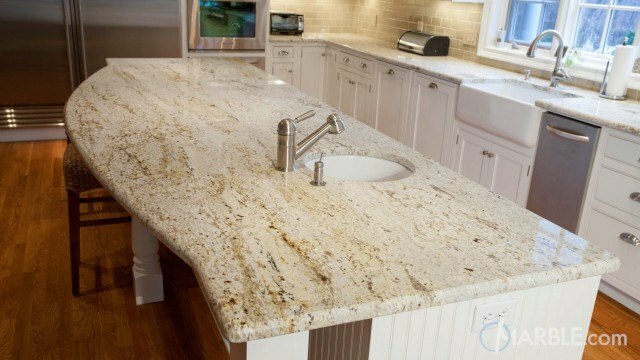 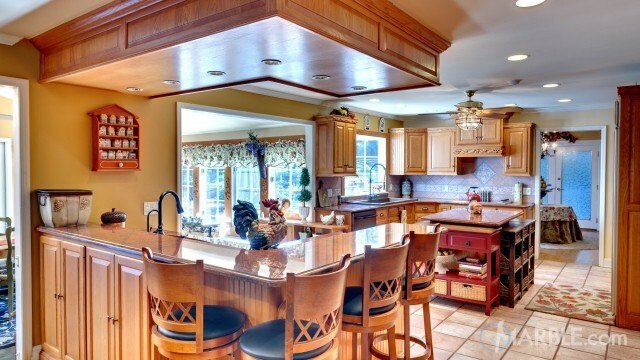 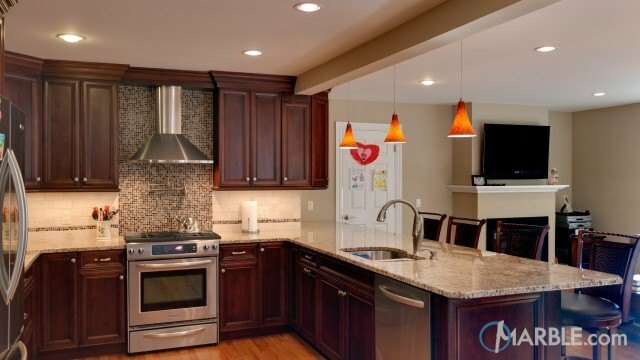 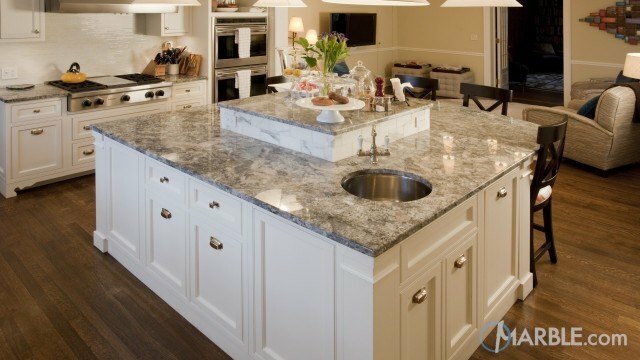 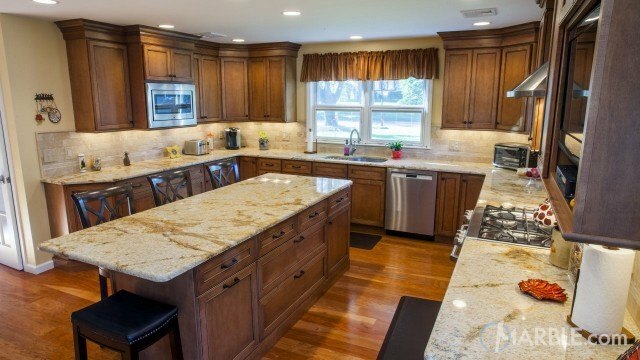 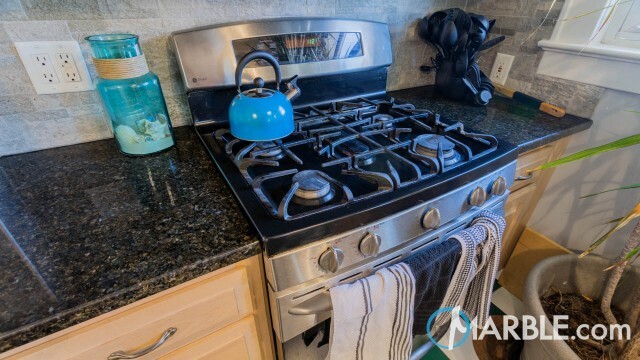 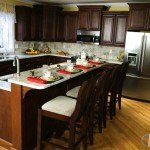 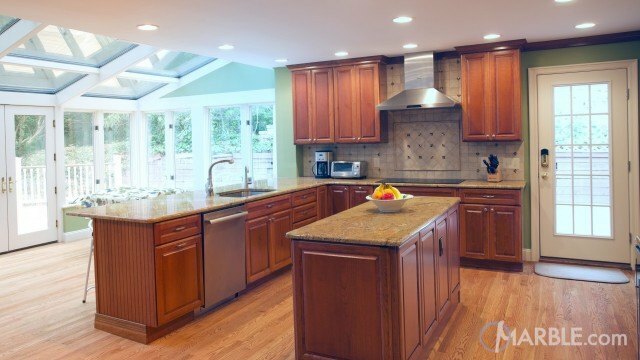 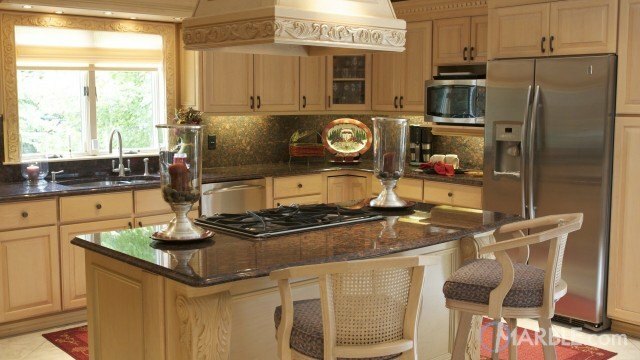 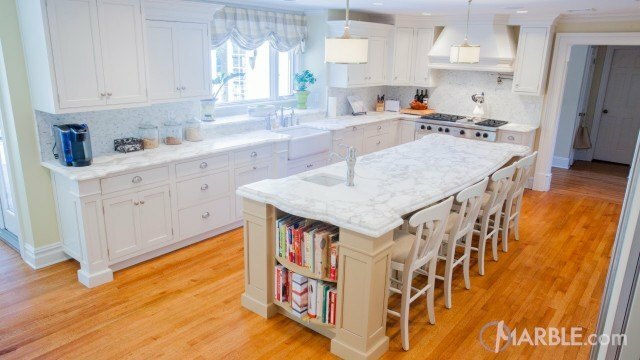 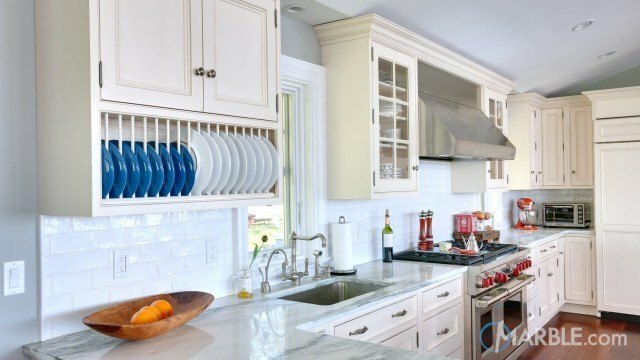 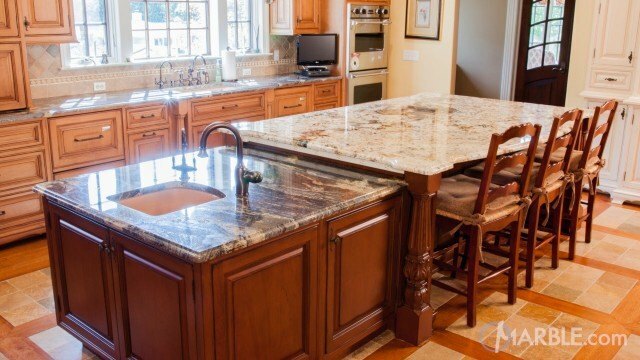 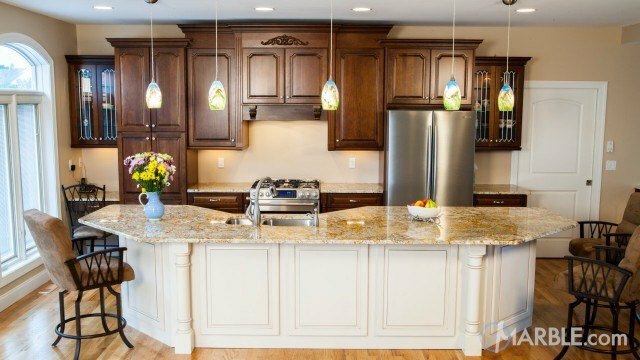 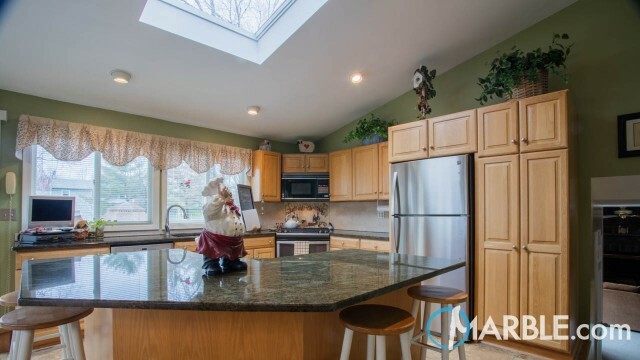 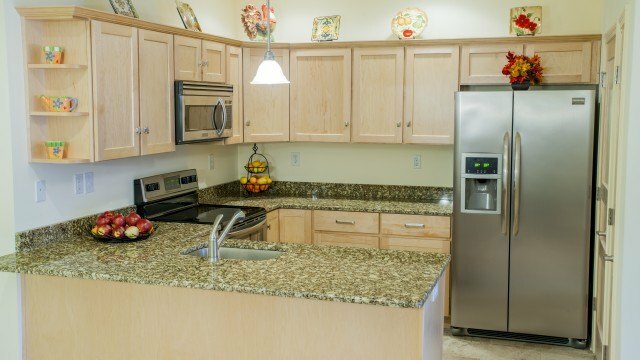 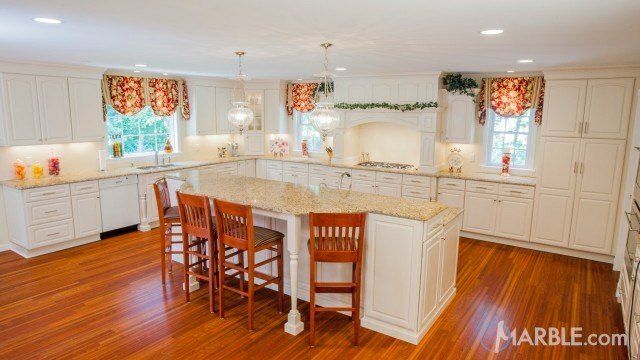 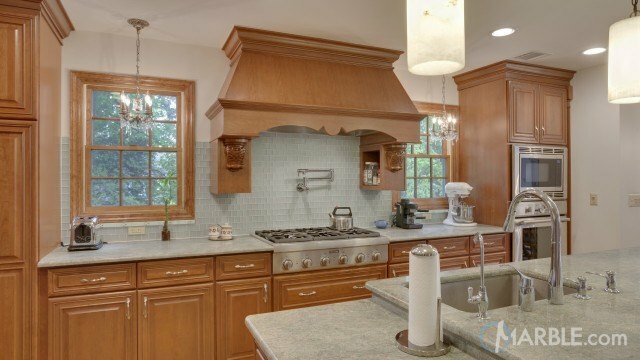 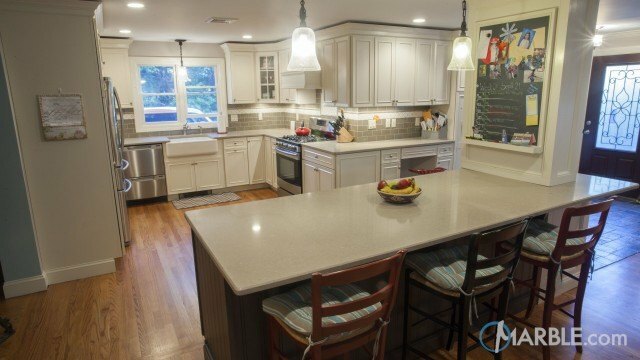 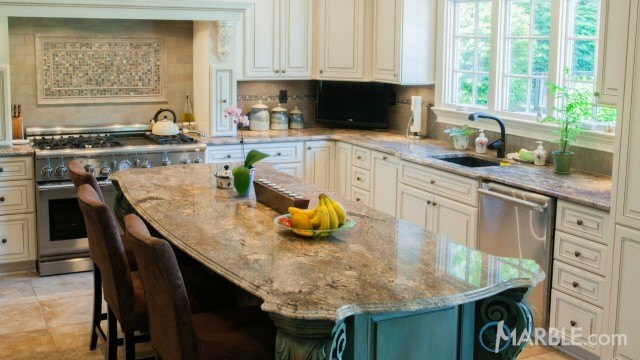 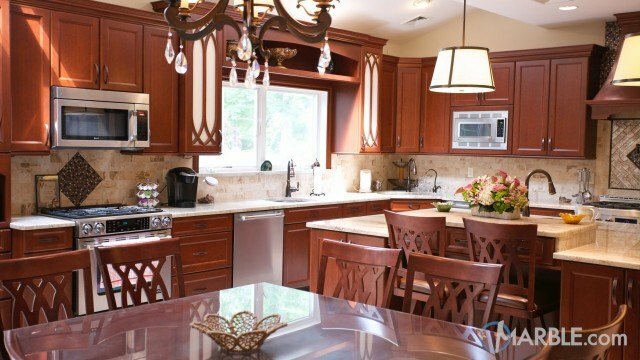 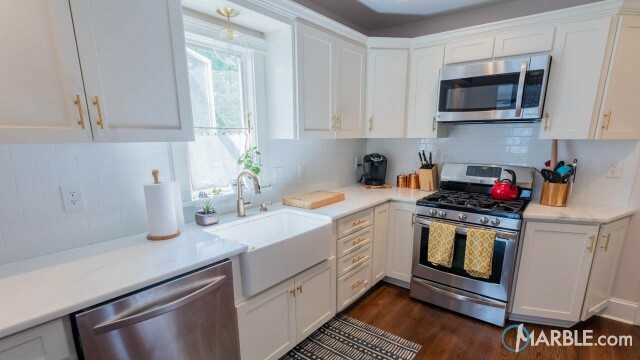 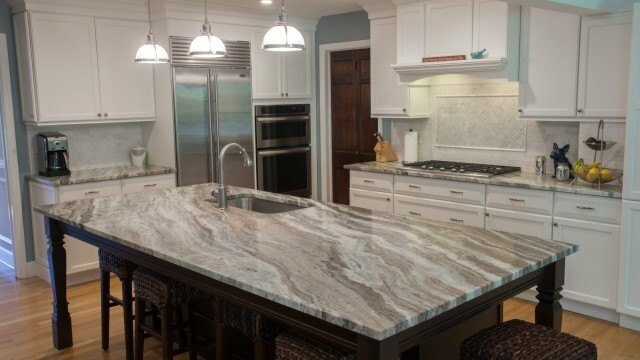 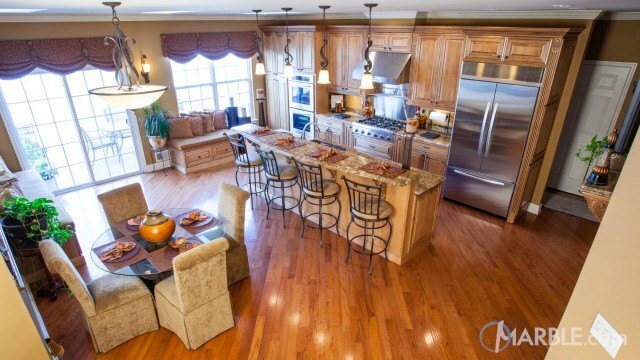 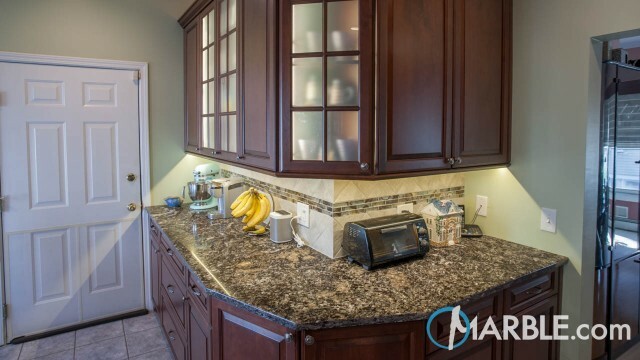 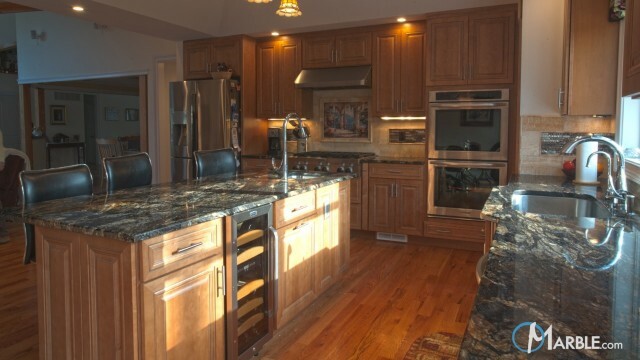 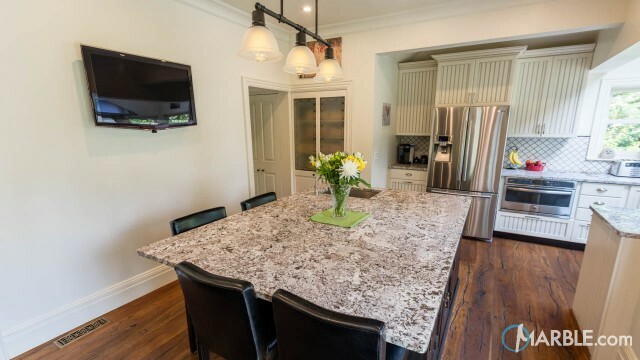 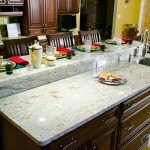 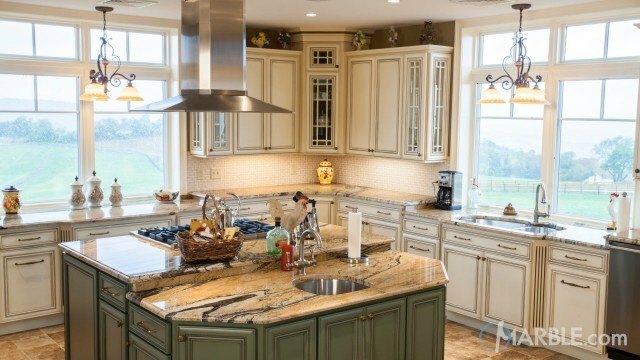 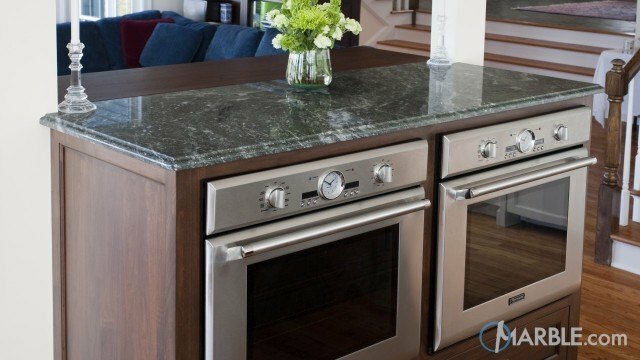 The two tier island allows for extra work space and storage while separating the serving area.